That's the critical difference warm(er) weather makes. The distance you bridge on foot, the time you take to get there, the destination itself--all are secondary to the delight you feel as you take to the streets and peel them back, one by one, until you achieve a pace and a rhythm that seem like preparations for lift-off. In the end, you're almost disappointed to get where, after all, you were going. That's what happened last night. I was off to a dance class, fully prepared to steel myself against the wind and the cold, et voila! : no wind, no cold. Instead, warmer temperatures and a soft breeze whose effects I didn't have to hunker down to ward off. I passed through the same dark and utterly deserted streets as I do every Monday night, but last night the streets weren't bleak and depressing, somehow. In any case, they didn't matter; I was flying. 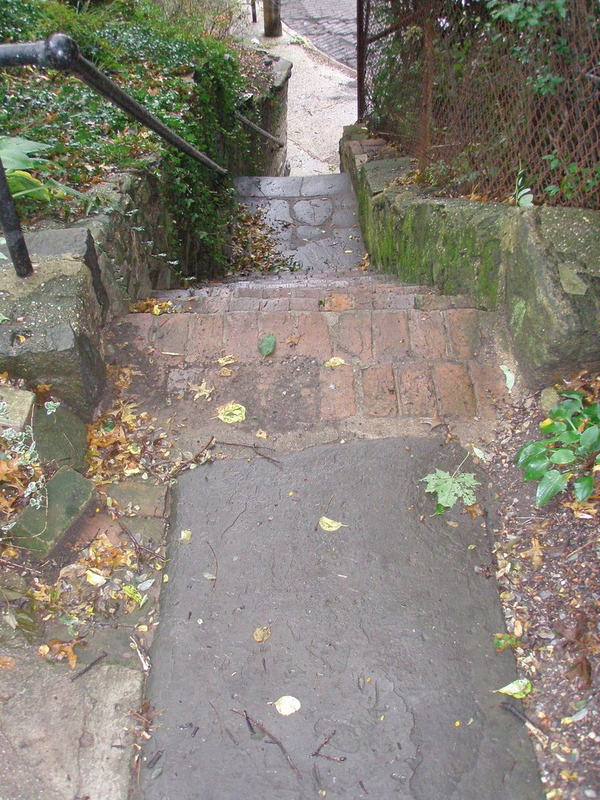 Today, in intermittent rain, I walked about six miles, some of it fairly hilly, and the experience was the same. Joyous. On this gray, damp day, my walk felt at one point like dance and at another, like flight. 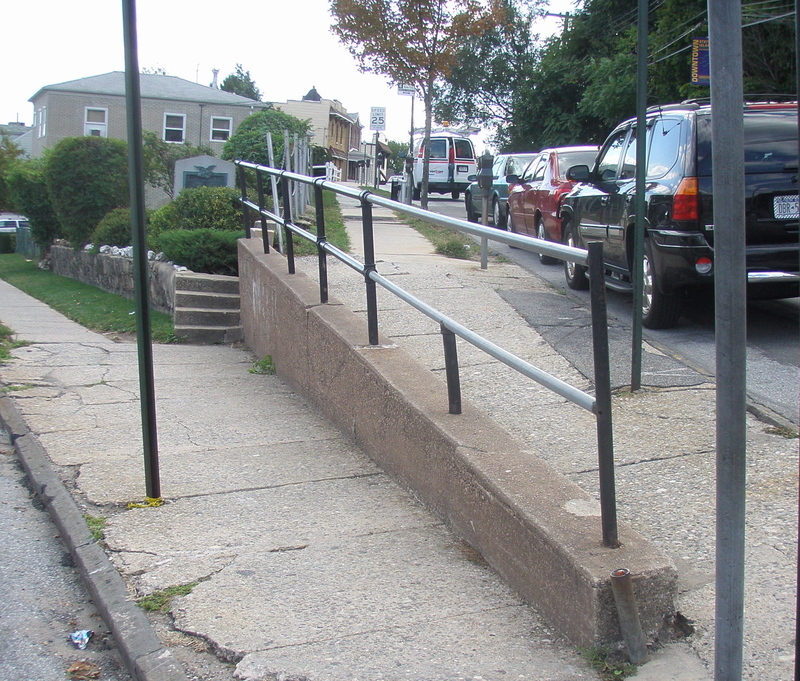 Whether they're Staten Islanders or not, Walking is Transportation.com readers wrote to say how much they enjoyed "The Vertical Life," a series posted here last October, showing and telling how residents of the island's North Shore negotiate the peaks and valleys we live on, in, under or near. There were omissions, of course, and readers were quick to point them out--for which I'm grateful. 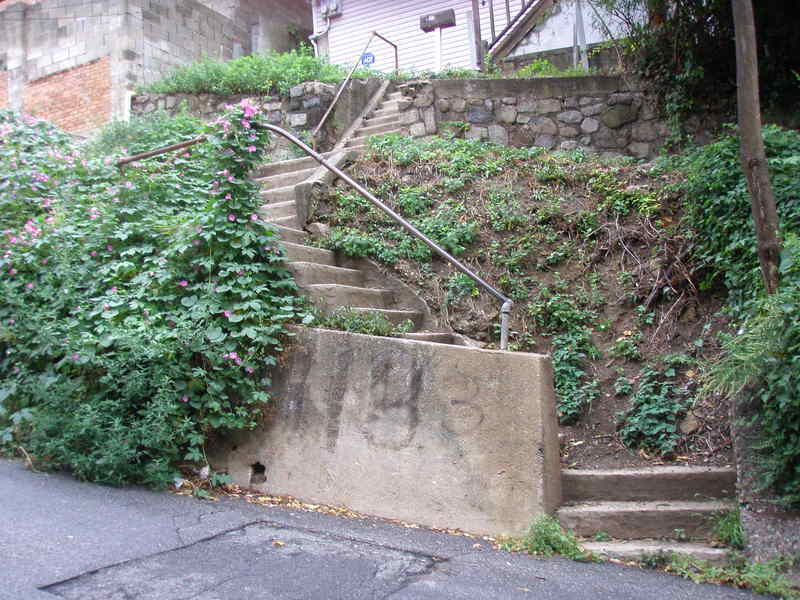 Tompkinsville reader/neighbor Richard Wonder appreciated the photo and description I posted of the stair/walkway on the north side of Scribner Avenue, going west from Westervelt to Bismarck. 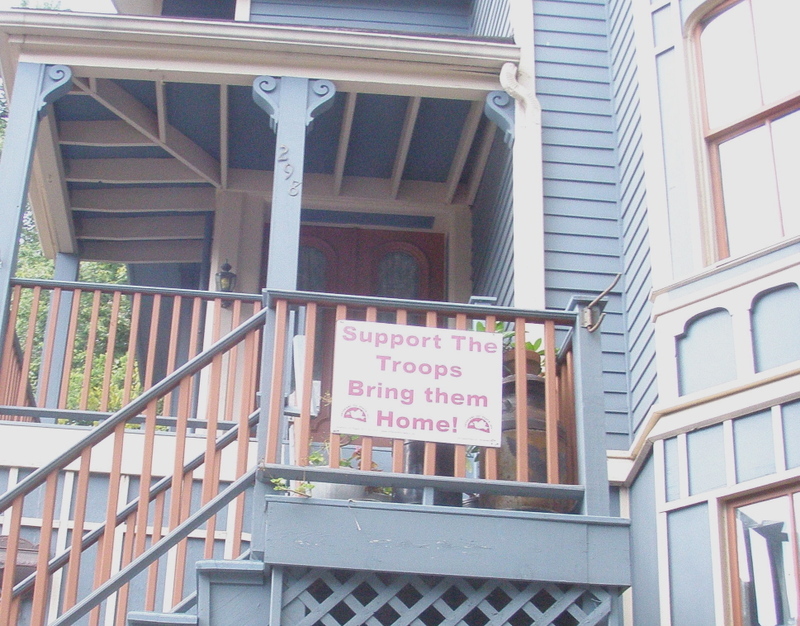 But he wondered why I hadn't included the stair/walkway on the south side as well. 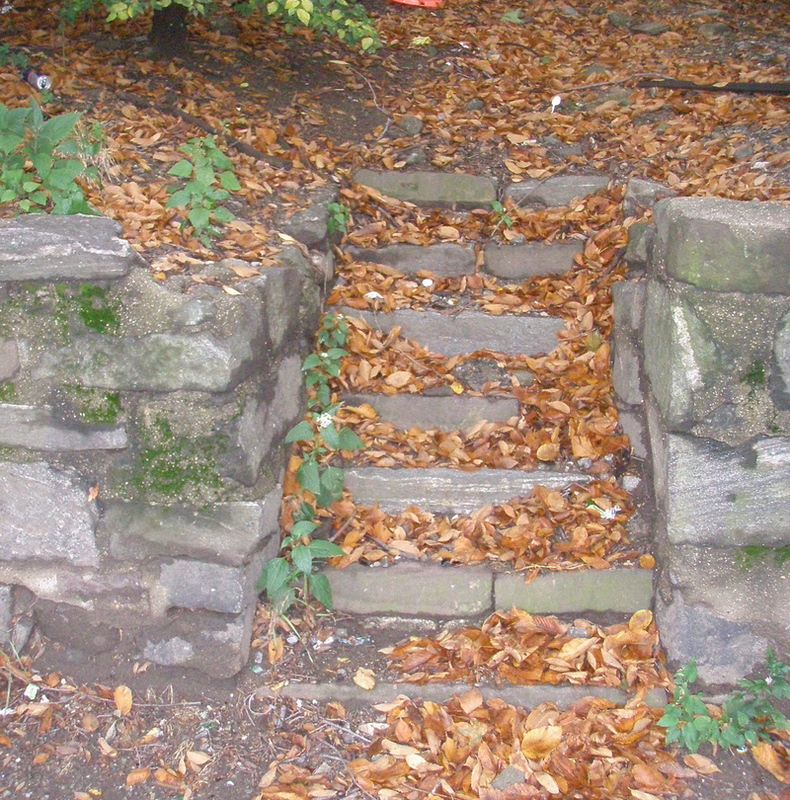 Other readers wondered why there was no mention of stairways that used to go somewhere but don't anymore. Still other readers simply wanted to see more of same. So here goes--the first few of what I hope will be a continuing series. 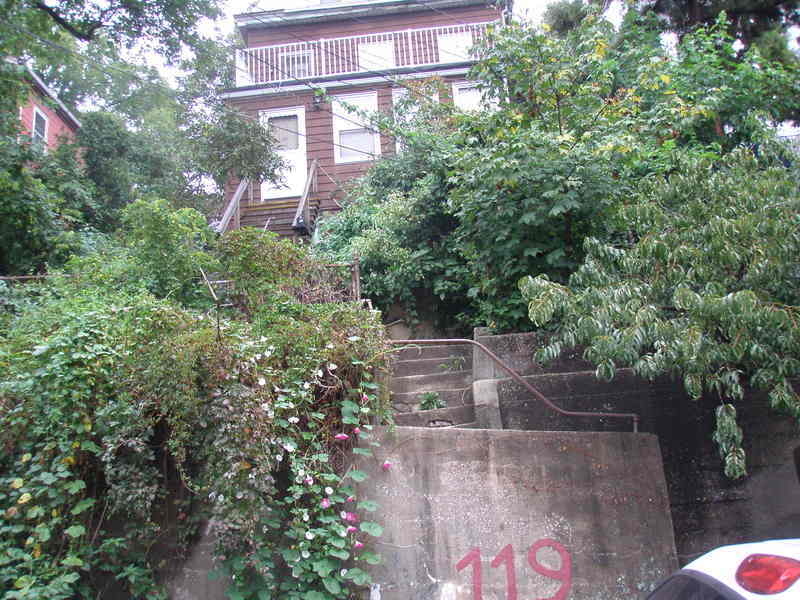 If there's a hillside walkway or stair I've missed, please e-mail me at dicolari@si.rr.com and let me know. Thanks! 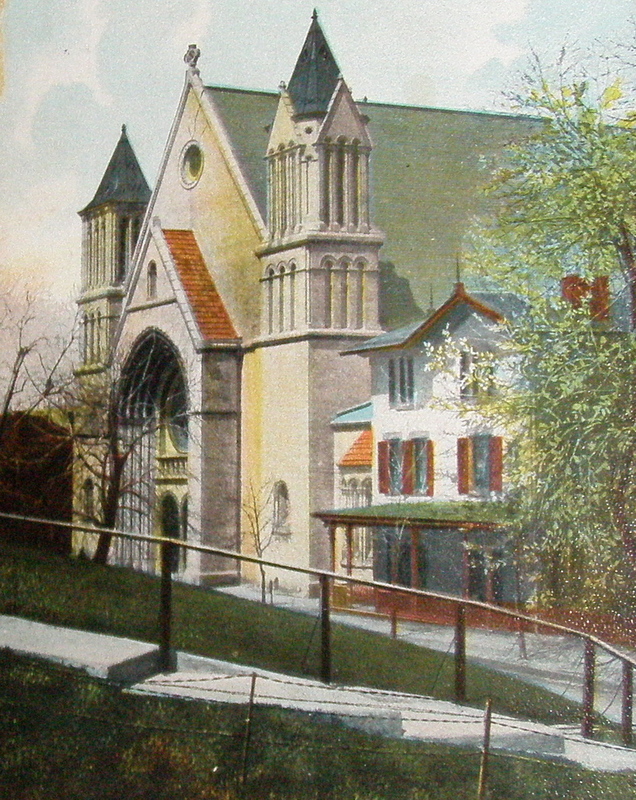 This hand-colored postcard, postmarked 1911, shows St. Peter's R.C. Church on St. Marks Place near Westervelt Avenue, St. George, Staten Island, prior to the addition of the building's towering campanile, now capped with a gold cross. 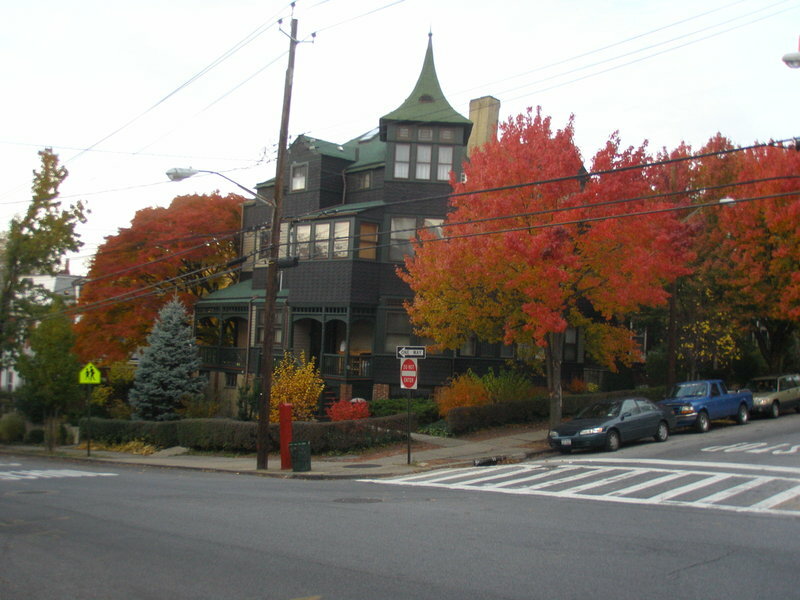 The Gothic-style frame building to its right was the then-rectory. 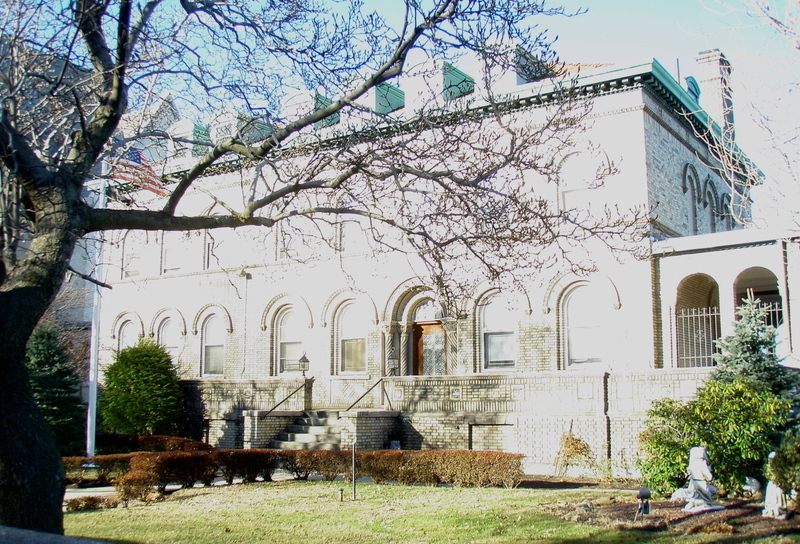 This digital image, taken January 9, 2008, shows the much larger rectory that occupies the same site today, set well back from the street, with lawn, plantings and devotional statuary on either side of a central path leading onto the property from the sidewalk. 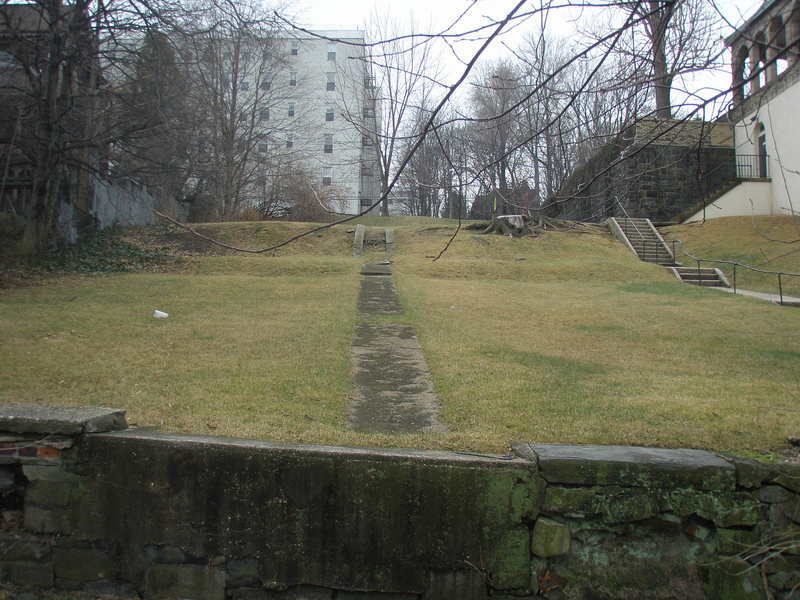 Looking up the hill from Carroll Place, it's clear that the entry steps that interrupted the expanse of stone retaining wall were filled in and cinderblocked over long ago. 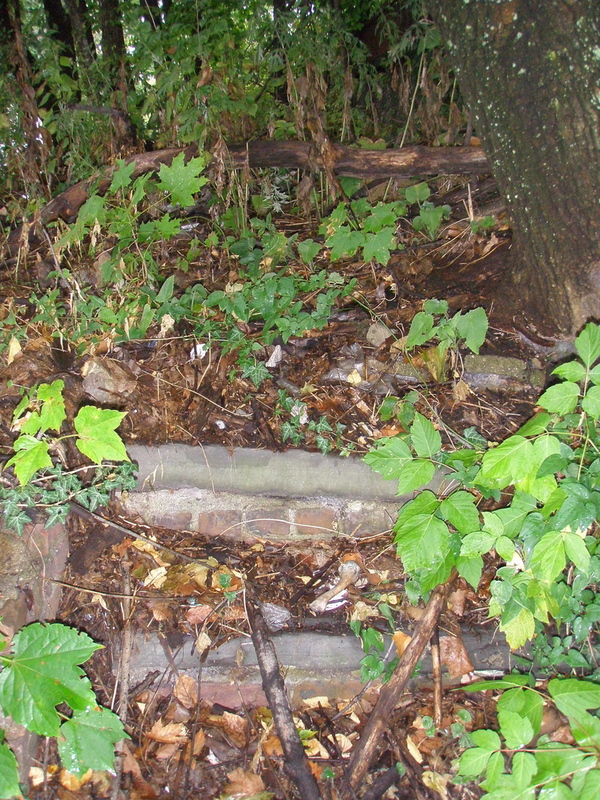 Much of the path leading to a St. Marks Place house that's no longer there has already been buried by crabgrass, with more to follow. 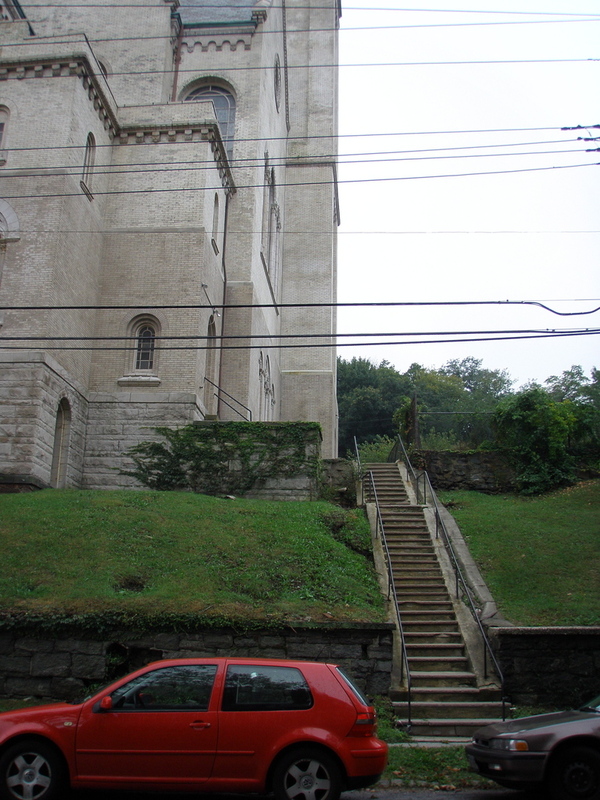 That's the rear of St. Peter's Rectory to the right, with its massive stone retaining wall and formal stairway. 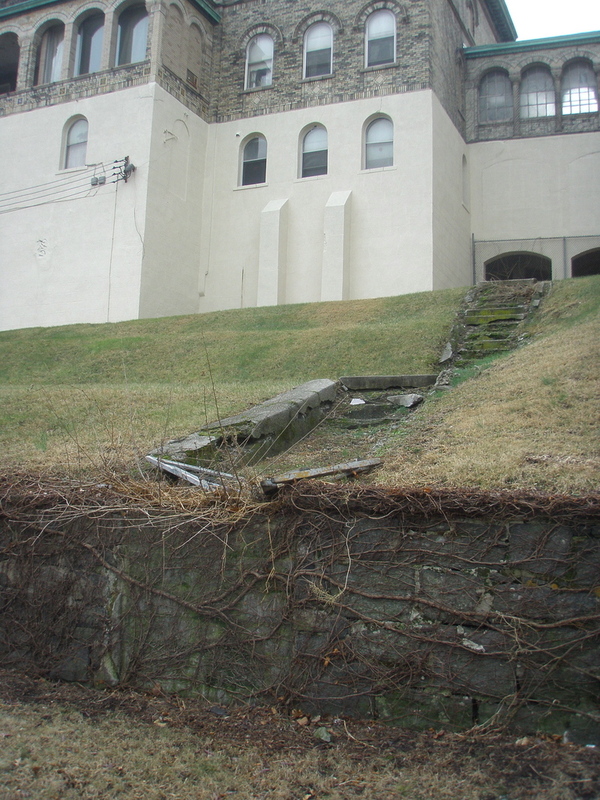 West of the set of blocked stairs shown above is another stairway, also blocked and slowly disappearing, that led from Carroll Place to St. Peter's original St. Marks Place rectory, demolished long ago and replaced with the structure shown at left, seen from the rear. First, Staten Island Greenbelt Administrator Adena Long spoke about the park's need to accommodate alternative forms of transportation. She actually used those words. Then Long described plans to provide a path for walkers and cyclists. Long addressed the November 1 semiannual meeting of Protectors of Pine Oak Woods, Staten Island's largest environmental organization. I was there not only as a Protectors member, but to make my case for safe access to the Greenbelt for walkers and cyclists, which I assumed meant installing sidewalks. I had expected opposition to this idea. Maybe even confrontation. And then, before I could open my mouth, Adena Long made it clear the pedestrian and bicycle path I planned to fight for was already in the works. Not a discouraging word was heard from the audience, many of whom had fought long and hard to create the Greenbelt decades ago and are determined not only to protect it, but expand it. Long said the path will be created as part of a plan to defend the Greenbelt at its perimeter, which is the usual point of entry for invasive weeds and vines that can destroy very quickly the diversity and balance of plant life within the park. This perimeter 'strip' won't be just a poured concrete walk along the edge of a roadway. 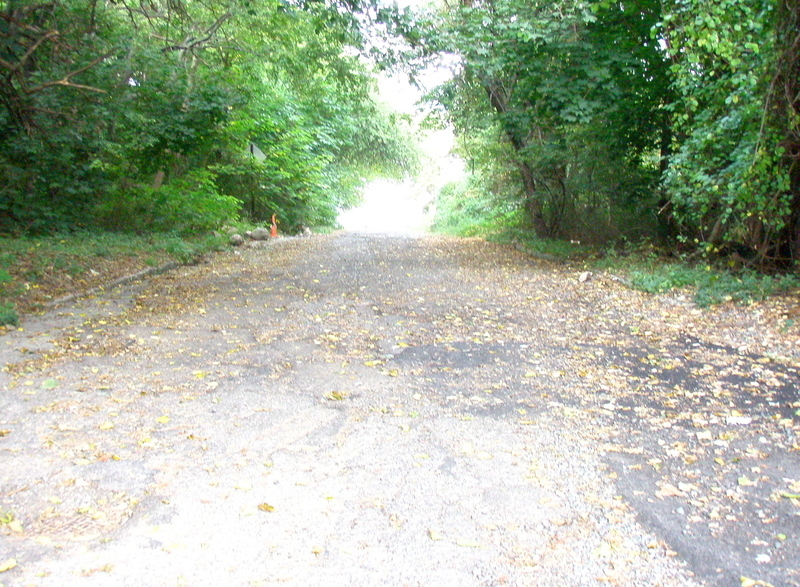 It will be designed, landscaped and maintained--with the bicycle and walking path included as part of the design. This project will take years to complete, of course. What matters more, I think, is that it's being done at all. 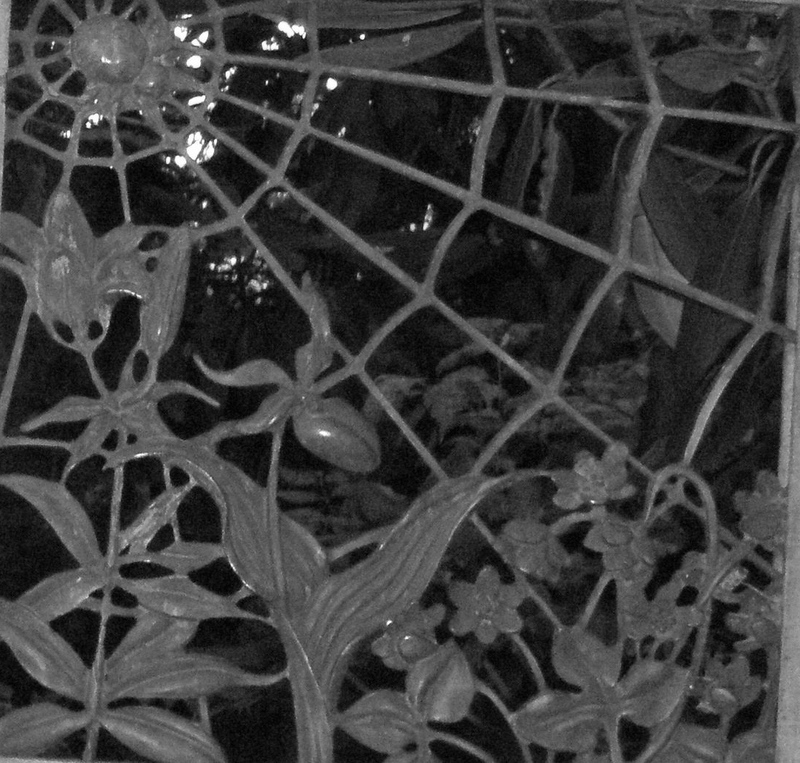 And that it just may represent a change in consciousness at the city's largest park. A change that begins to acknowledge pedestrians and bicyclists as co-equal users--with motorized vehicles--of public streets and roads. I've just finished the The Vertical Life, a four-part entry that appears in the four posts immediately preceding this one. 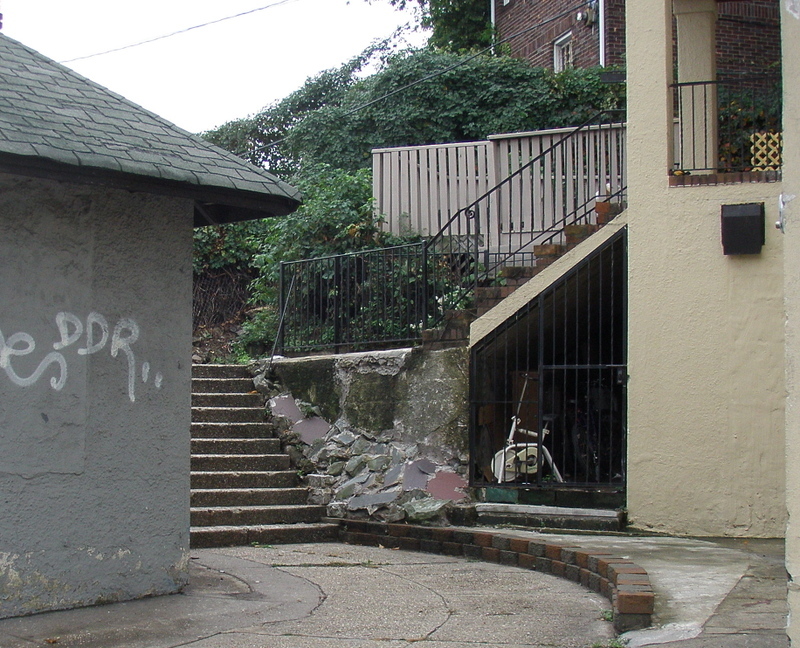 Originally, I planned an idiosyncratic profile of the five hilly neighborhoods at the northeastern tip of Staten Island, the fifth and oft' forgotten New York City borough. What I wanted was to celebrate a life spent marching up and down hills and the sometimes amazing accommodations people have made in order to be able to live that life. 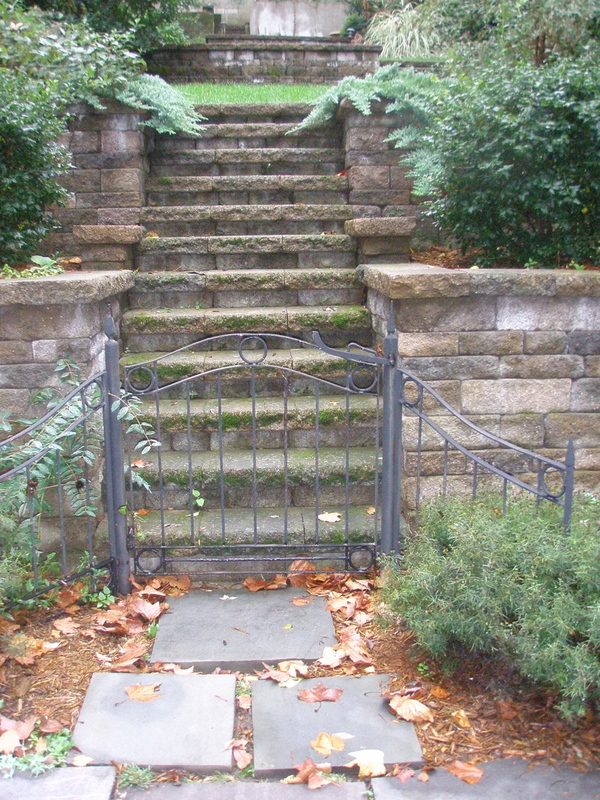 What I've come away with is the conviction that these accommodations to hillside living--steps, stairways and paths--are much more than quaint throwbacks to a time when we walked rather than drove up hills. 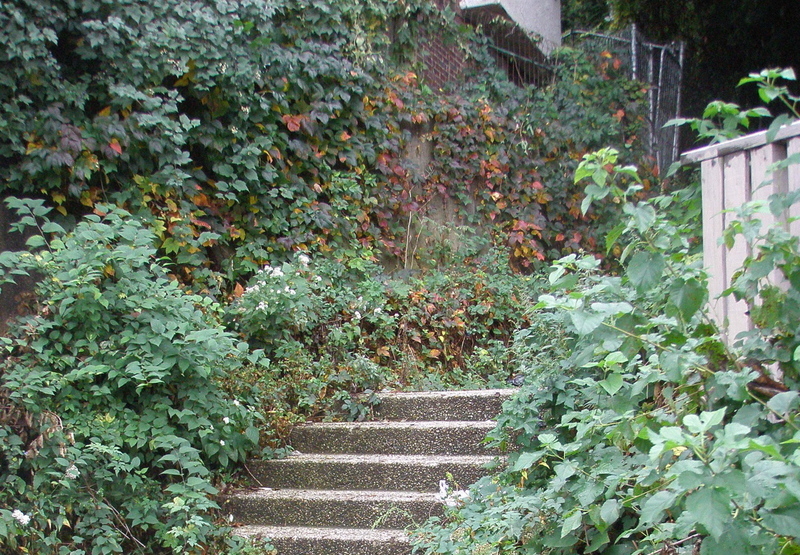 Hillside stairways aren't rarities. 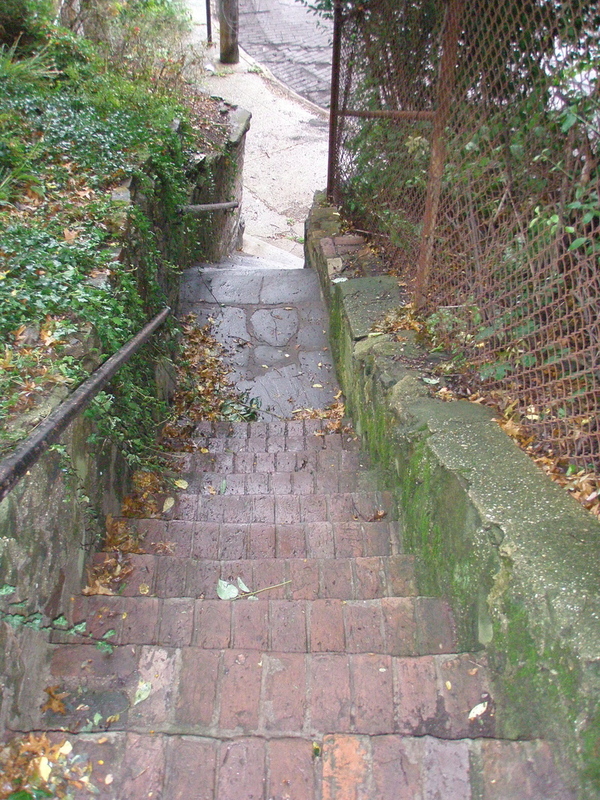 In upper Manhattan and the west Bronx, these vertical pathways are often massive feats of engineering, overlooked by equally massive apartment blocks of the 1920s and '30s. 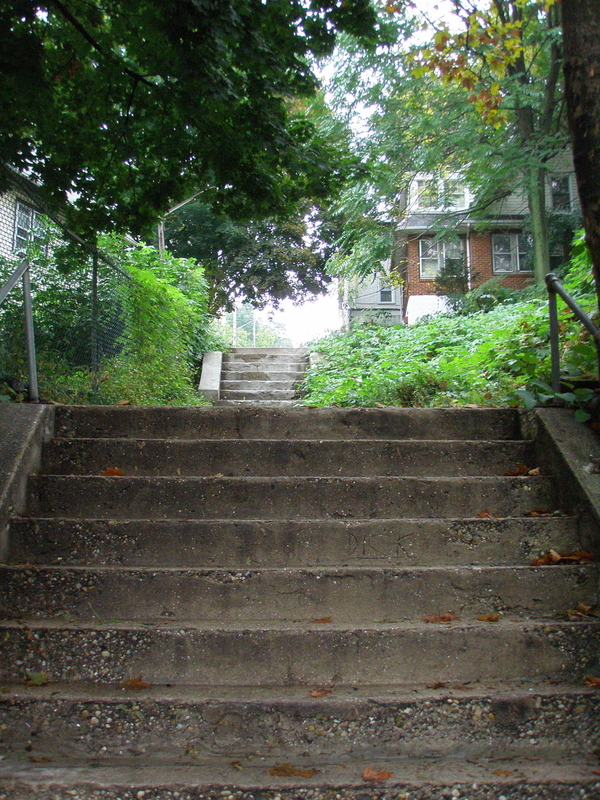 In the hilly, close-to-the-ferry neighborhoods of Staten Island's north shore, the scale of hillside stairways is smaller, simpler, more intimate. 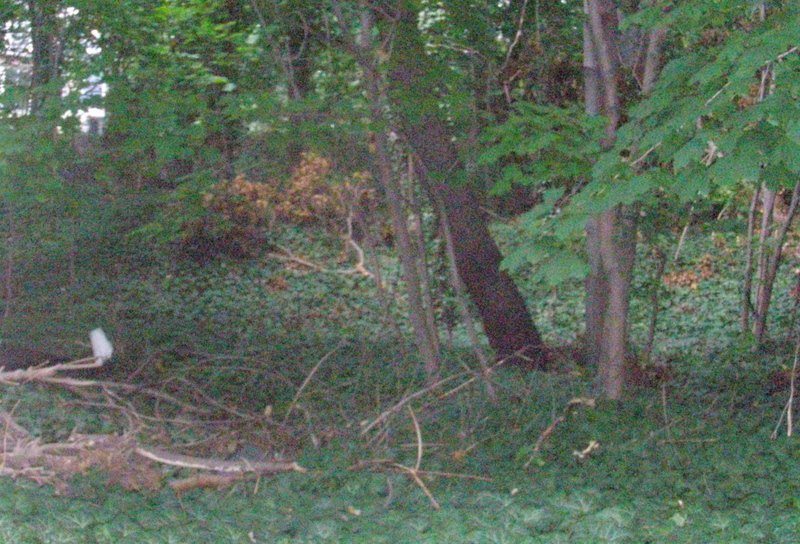 Paths are bordered by trees, shrubs and grasses, sometimes overgrown by them. 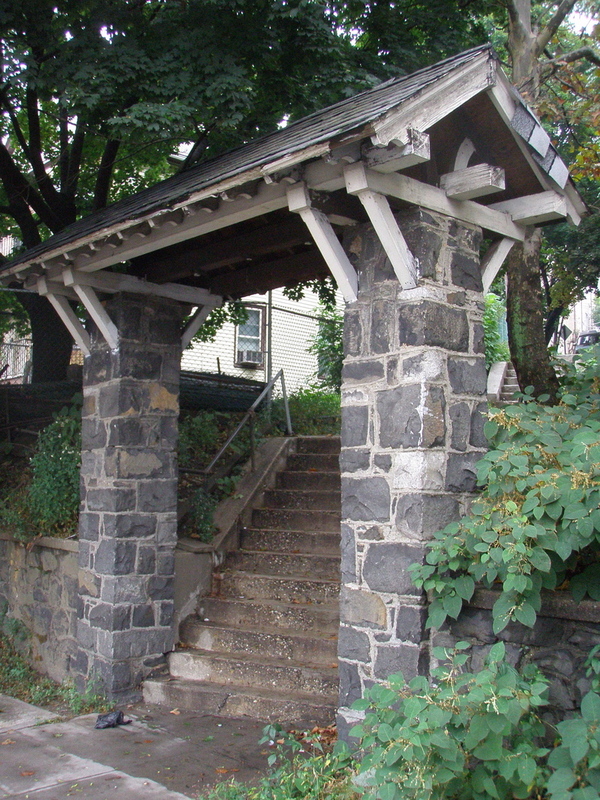 These vertical connecting links are, no less than some of the century-old buildings that surround them, a part of Staten Island and New York City history that deserves preservation and restoration. 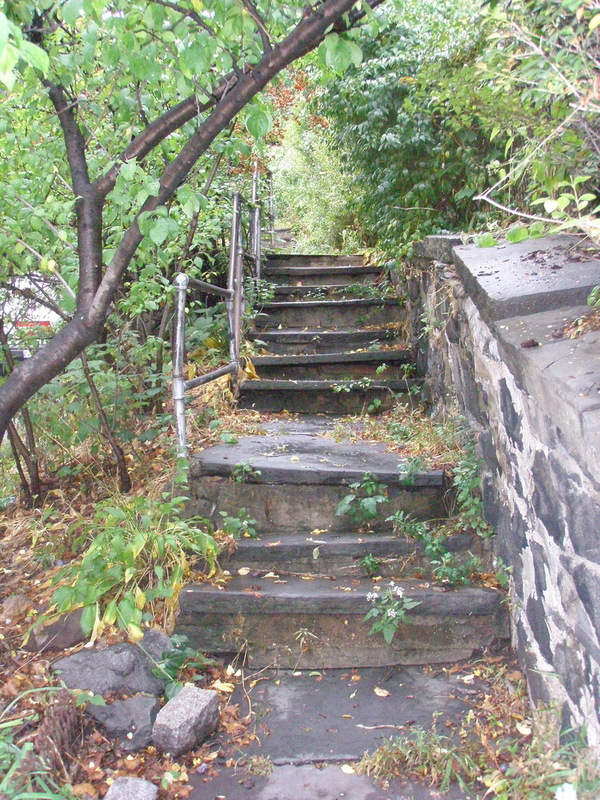 Whether in upper Manhattan, the west Bronx, or the north shore of Staten Island--and even in their sometimes derelict state--these stairways are part of our city's pedestrian infrastructure. People use them. 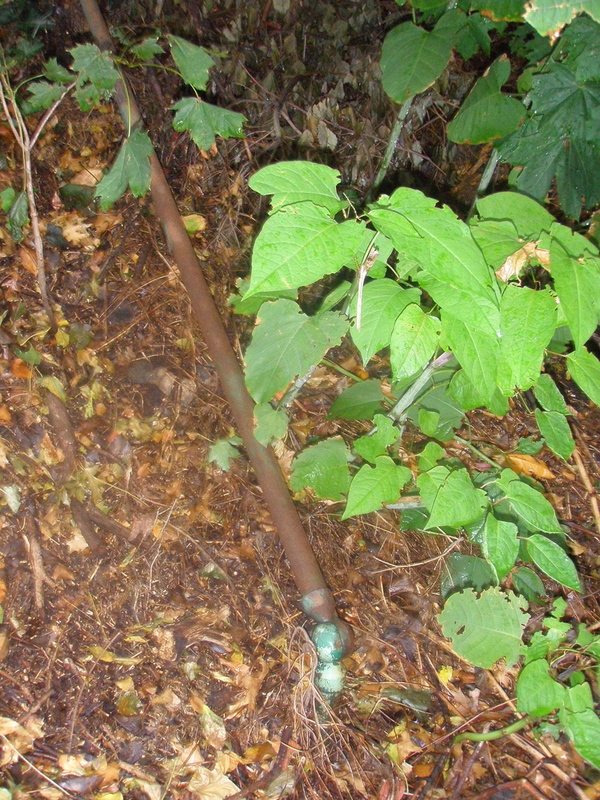 More would use them if they were in better physical condition and better maintained. Now that serious and ongoing health and environmental degradation is finally acknowledged even at the federal level, state and local policy-makers are actively seeking ways to reduce our dependence on private transportation. 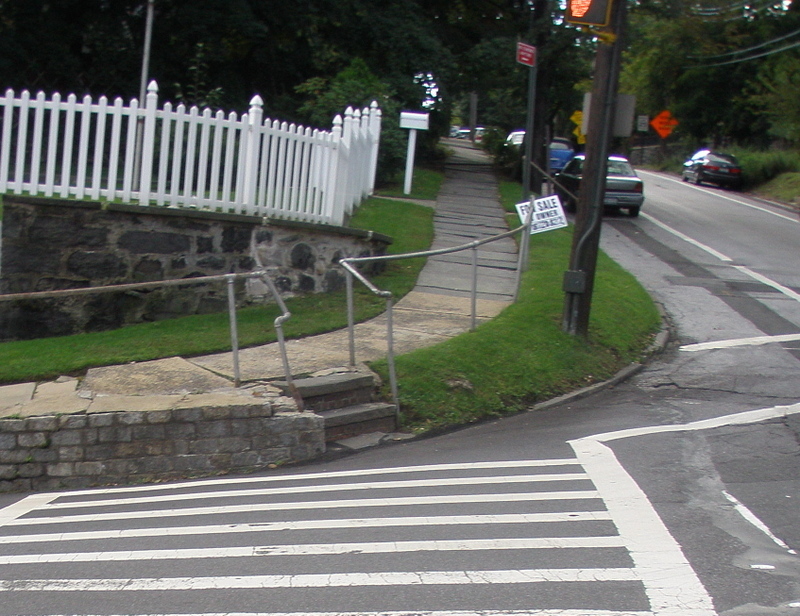 These and other forms of pedestrian infrastructure are a perfect fit. 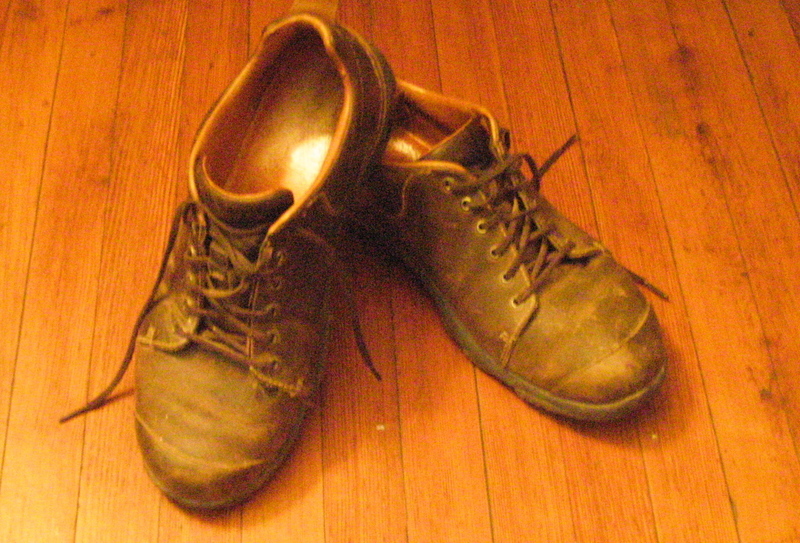 As support systems for walking--an activity promoted by the N.Y.C. 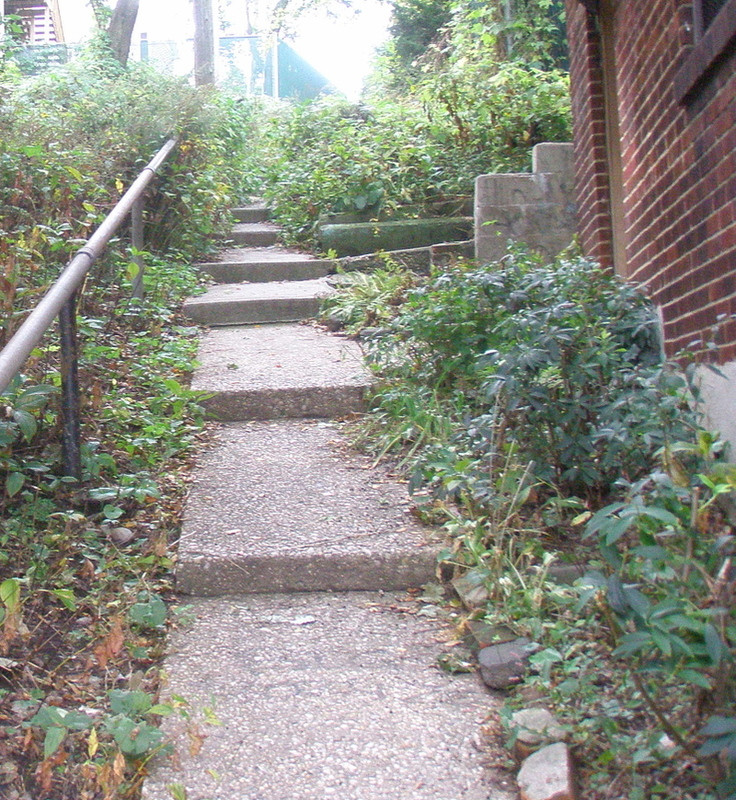 Department of Health and Mental Hygiene and the Department for the Aging--these steps, stairs and walkways deserve substantial upgrading, with new concrete, railings, signage, lighting and drought-resistant, low-maintenance landscaping. 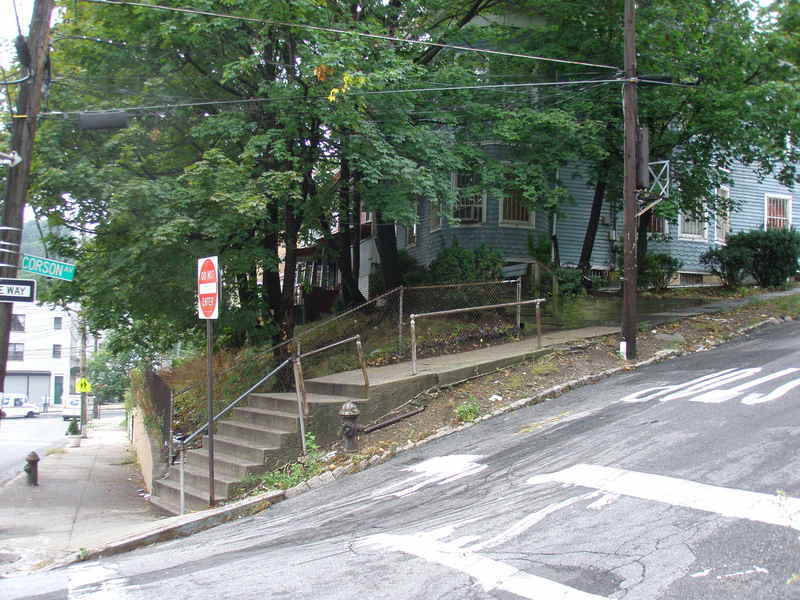 Like the reopened walkways on the Manhattan and Williamsburg bridges, these hillside amenities are part of New York City and Staten Island history. 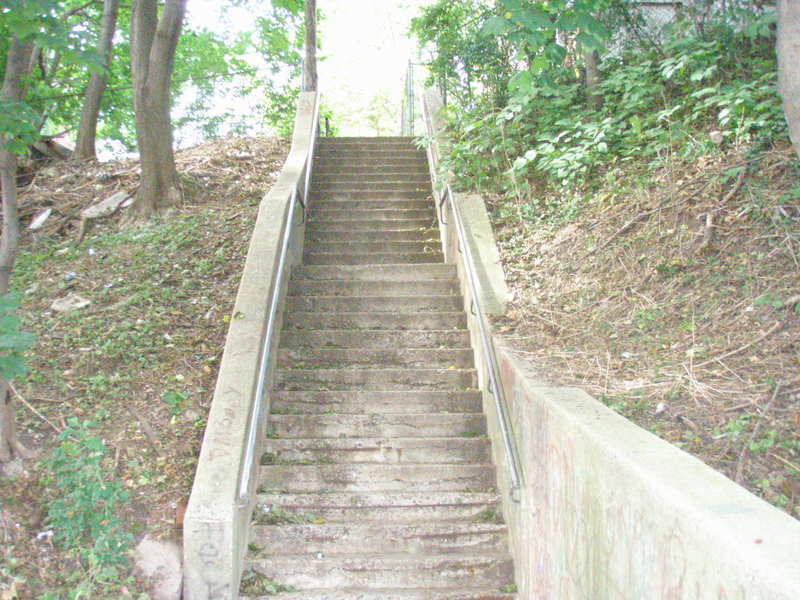 If we're serious about encouraging alternative forms of transportation, we'll make these steps, stairways and paths part of our future too. 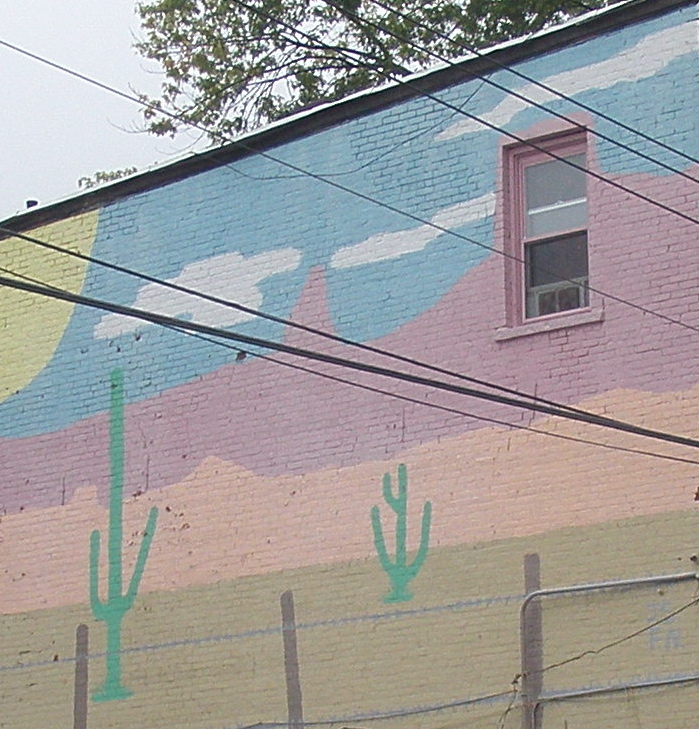 Adobe Blues mural, south side of Lafayette Avenue near Fillmore Street, New Brighton, Staten Island. 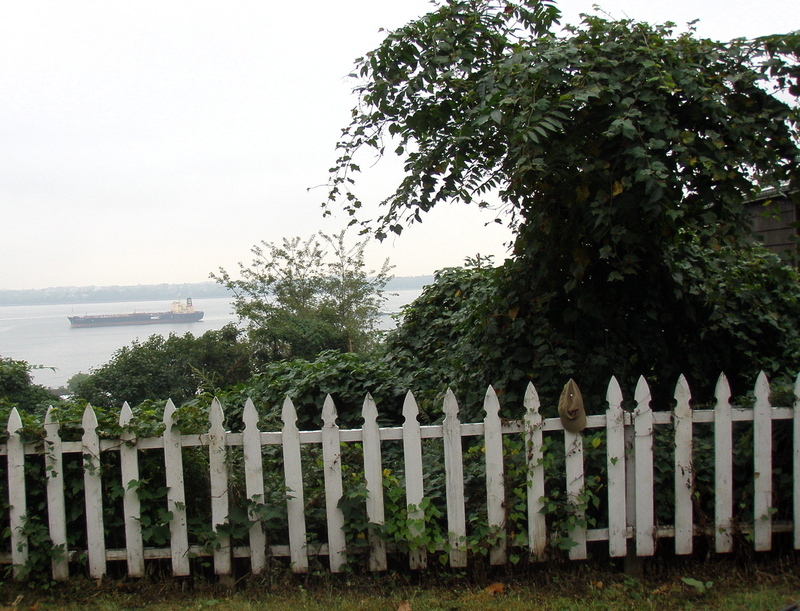 There was no way I could survey hill-walking in Staten Island's close-to-the-ferry neighborhoods and not include New Brighton, one of New York's earliest suburban developments, organized in 1839. But I'll admit I wasn't expecting much. 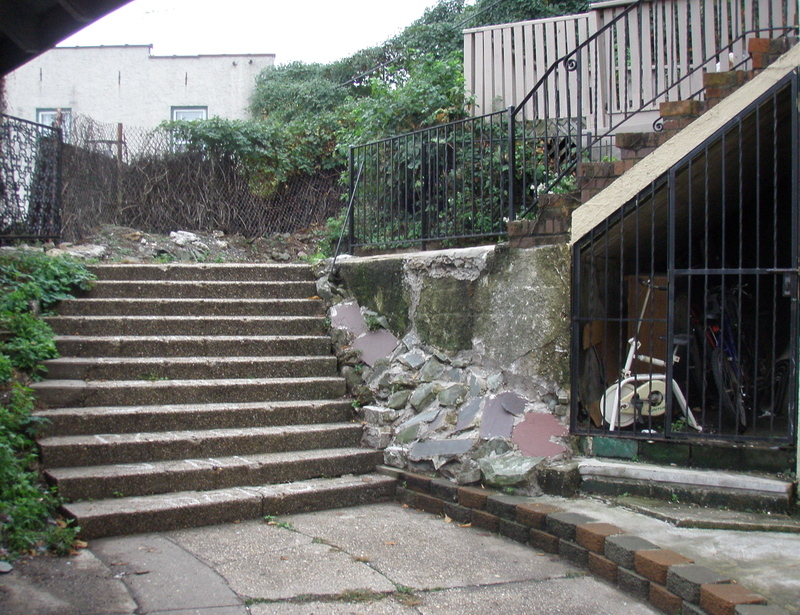 Like a lot of locals, but not many others, I knew all about the one derelict but still functioning stairway between the corner of York Terrace and East Buchanan Street at the top, and York Avenue, just up the hill from Fillmore Street, at the bottom. 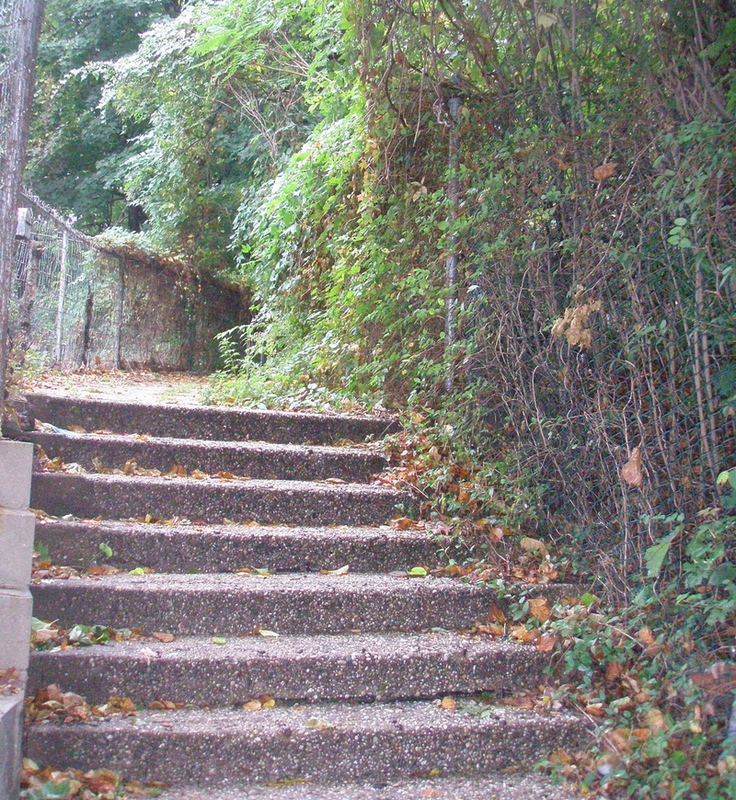 Seen from a passing car––like so many other experiences walkers have and drivers don't––it would appear to be just another concrete stairway leading who-knows-where and not worth a second glance or thought. 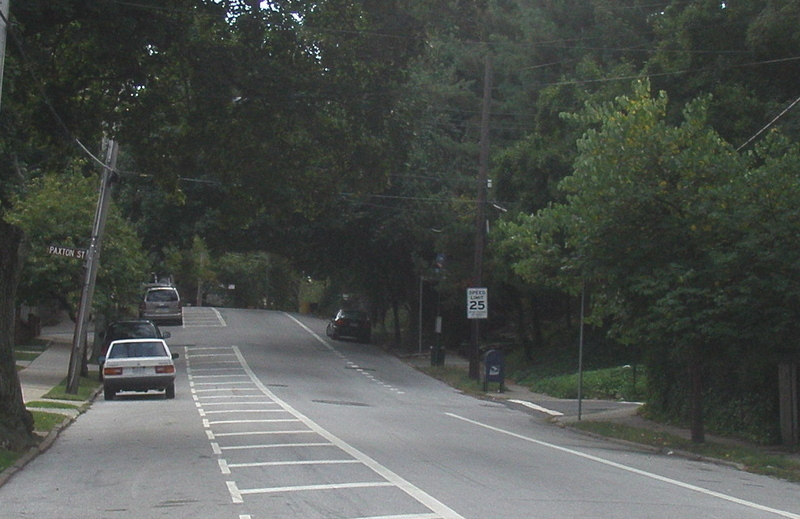 East Buchanan Street from the bottom of the hill at Franklin Avenue--the starting-off point. 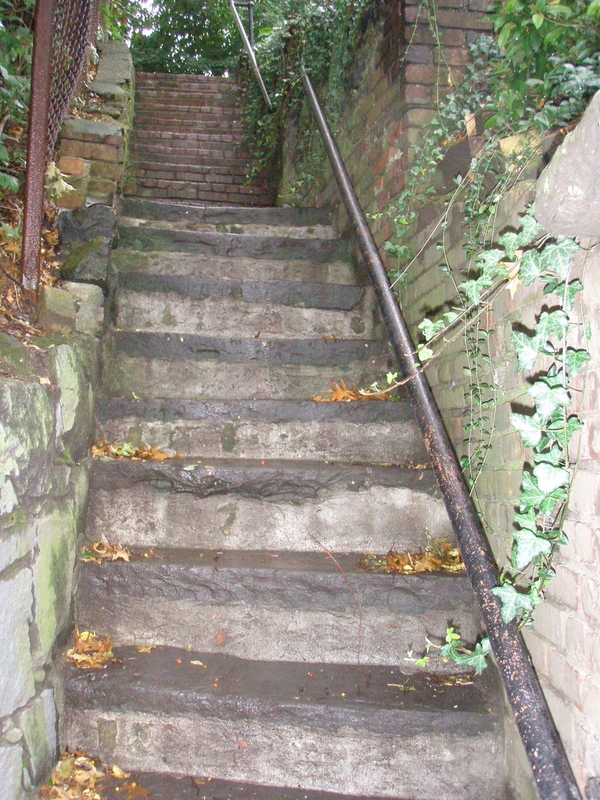 Sure enough, a few yards past the top of the hill, just as I remembered, the narrow path leading to the stairs begins, then continues down the hill to York Avenue. Turning right and continuing up York Avenue, I wasn't surprised to see more cliff-dwellings; I remembered them from past treks, but not in detail. 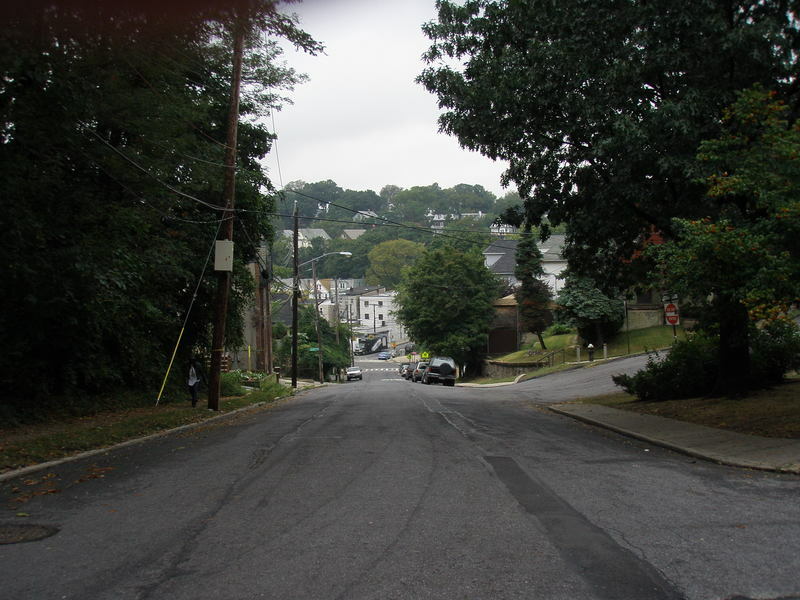 I'd never noticed how far back from the street these hilltop houses were sited--especially as compared to those on Corson Avenue in Tompkinsville (Part 1) and St. Pauls Avenue in Stapleton (Part 2). 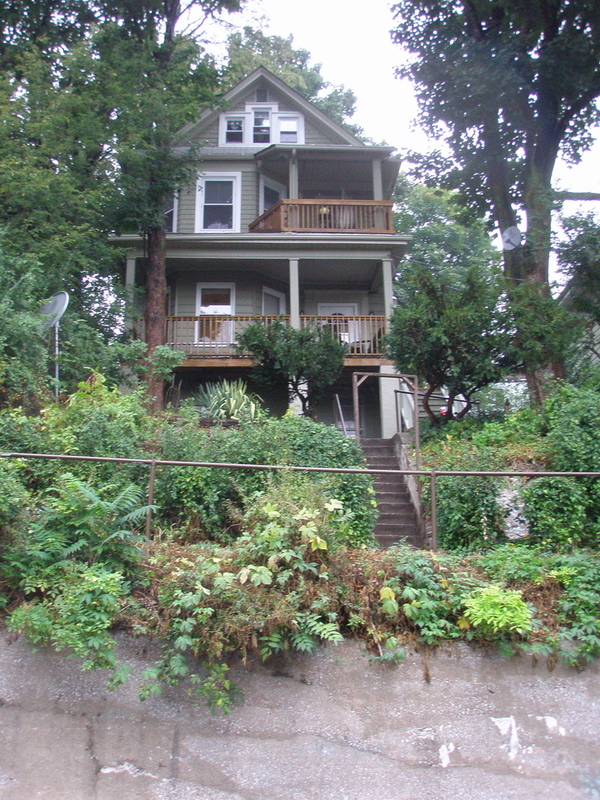 Because the grade here is less steep than on other nearby streets with hillside houses, there's less need for buttresses, terraces, retaining walls and the like. 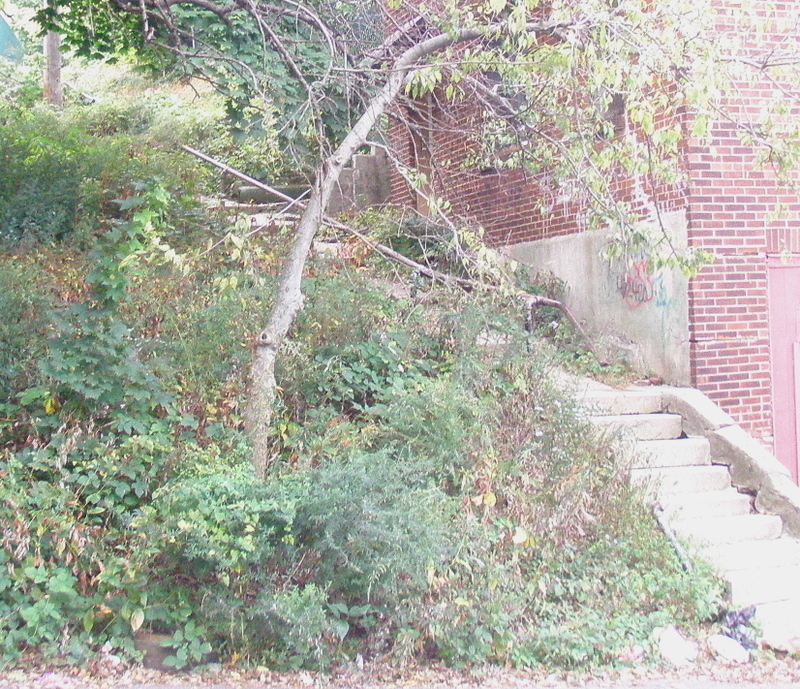 In several cases, a single continuous stair runs from the sidewalk to the front door. 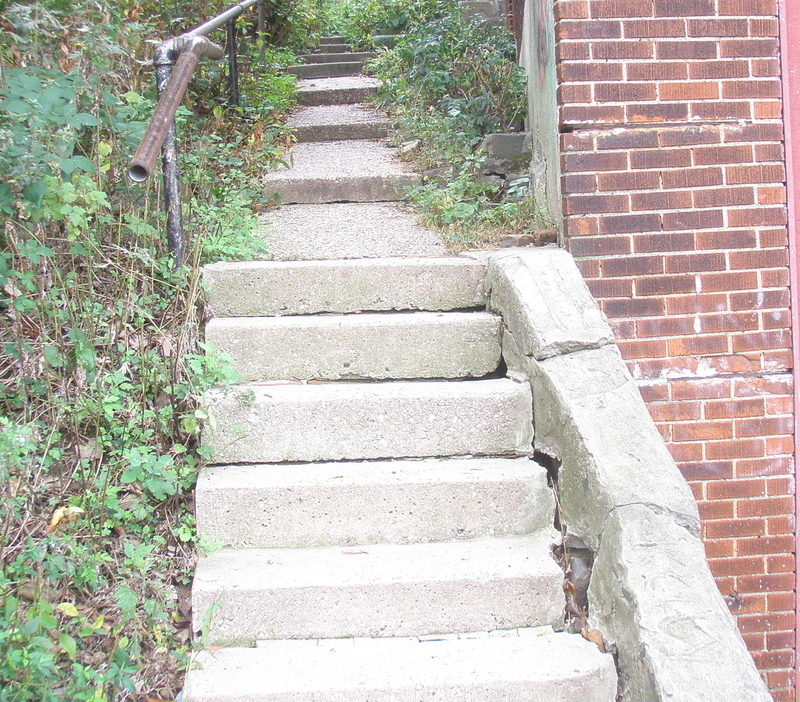 A little farther up York Avenue near Carlyle Street, I half-saw this stairway as I passed it. But that glance was enough to make me turn back and take a second look. 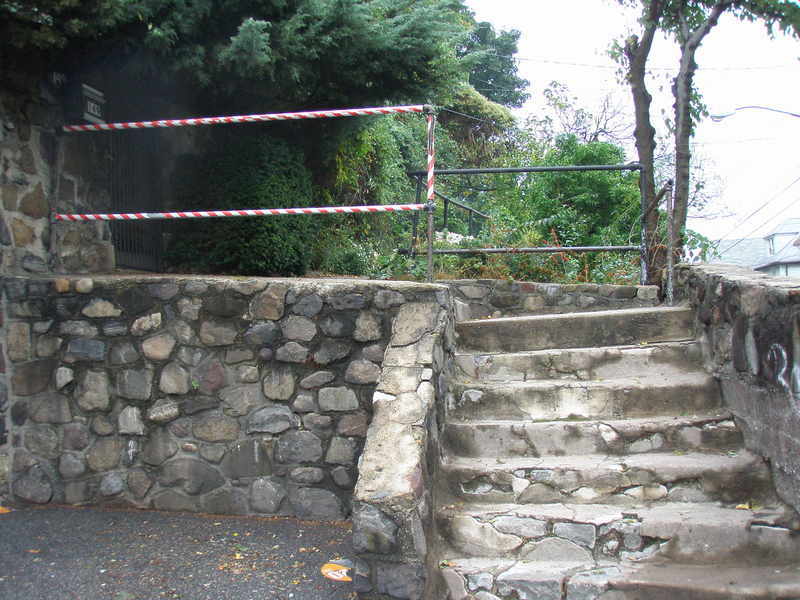 Even in its deteriorated condition, the stairway's proportions told me this was either a public amenity or the entry to a substantial residential property. There was no sign, no marker, nothing. 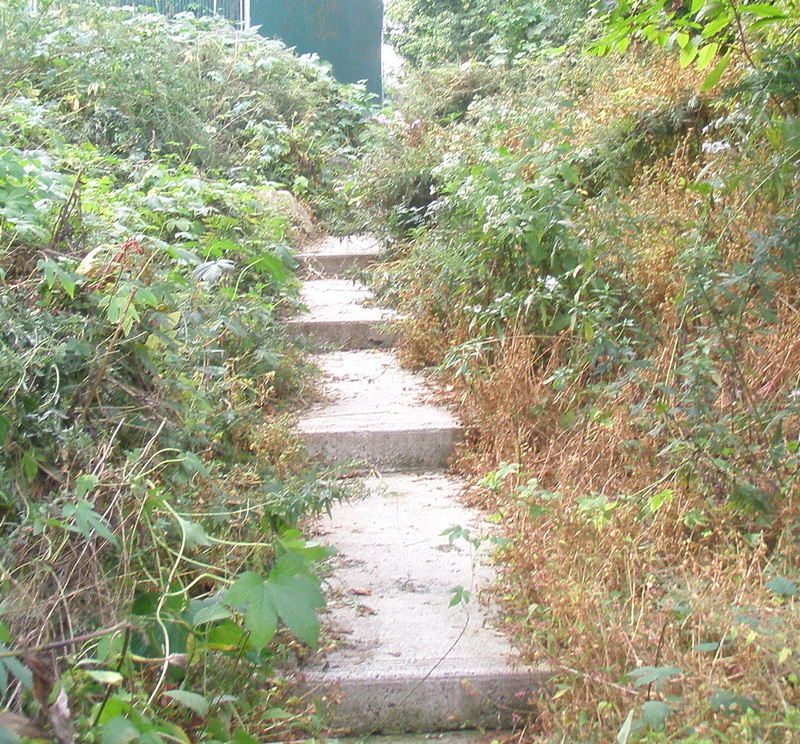 For a while there, going up the steps and continuing up an overgrown path, I worried that I might be trespassing. 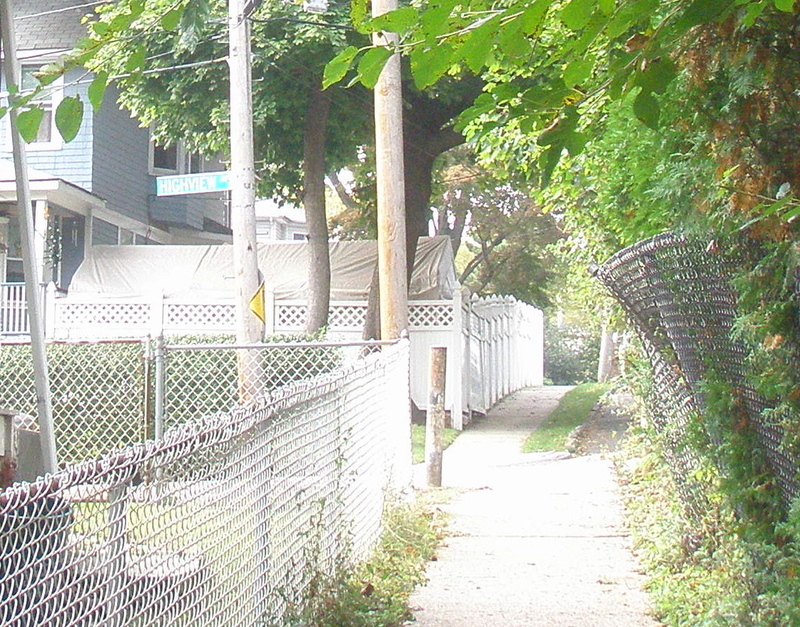 But soon enough, I saw a familiar street sign ahead: Highview Avenue. I knew exactly where I was. I turned right and walked back to East Buchanan Street, the starting point. HAVE I MISSED SOMETHING? 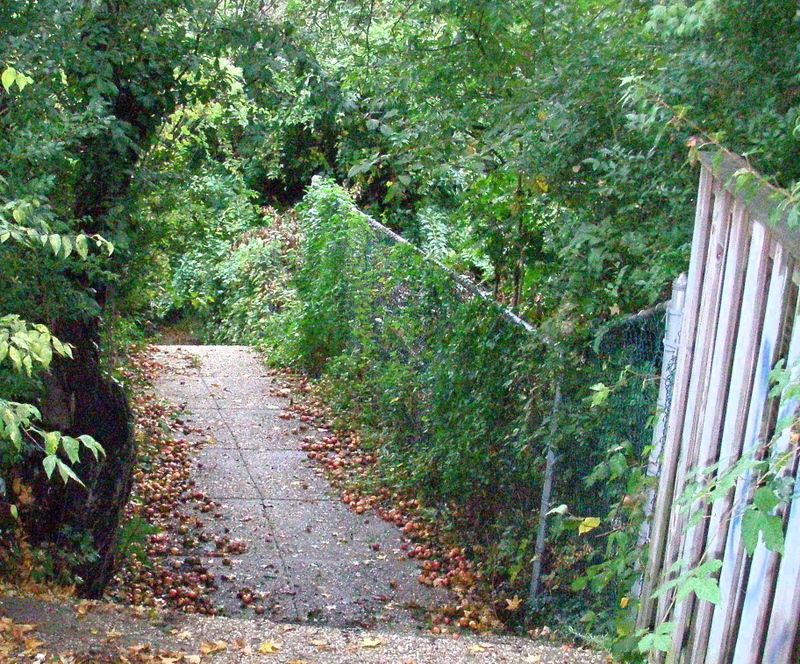 If you notice I've left out a stairway, path or walkway in one of the neighborhoods mentioned in this four-part entry, please let me know: dicolari@si.rr.com And thanks. Glimpsed on a porch on St. Pauls Avenue near Cebra Avenue, Stapleton. 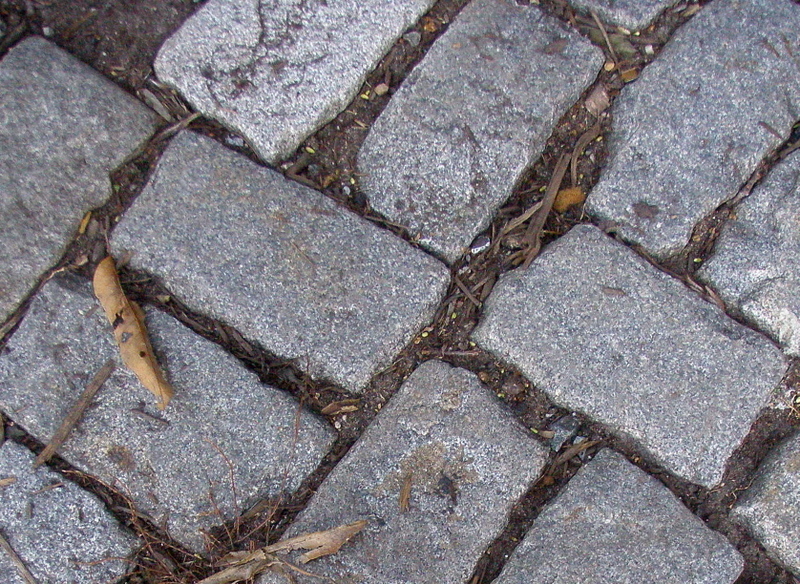 Cobblestone walk, Wall Street between St. Marks Place and Belmont Place, St. George. 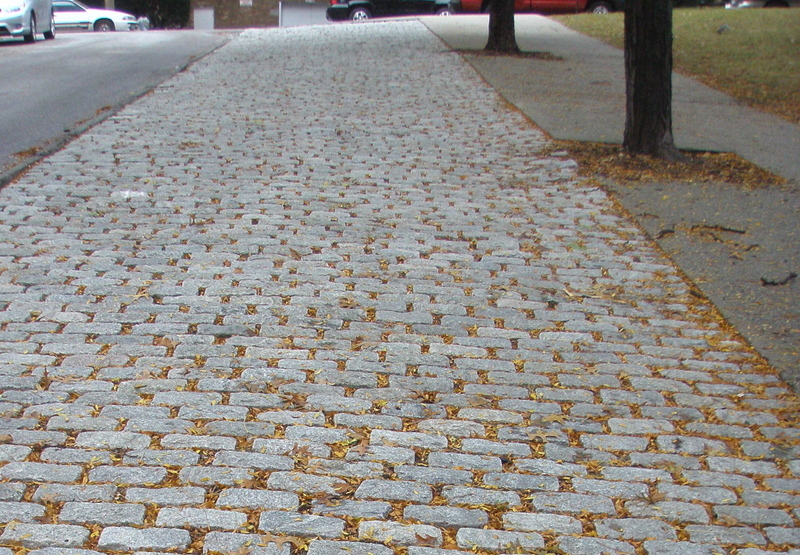 They didn't flatten Ward, Grymes, Todt and Emerson hills on Staten Island in order to lay down a street grid, as they flattened Murray Hill in Manhattan, according to a recent article in The New Yorker. 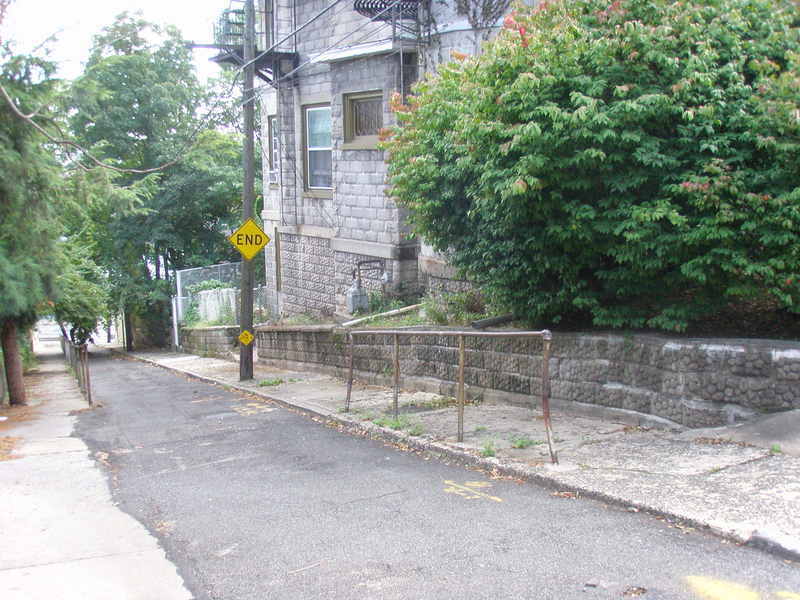 On Staten Island, it looks like they just made roadways around the hills, or built access roads where they could––that is, wherever the grade wasn't impossibly steep. 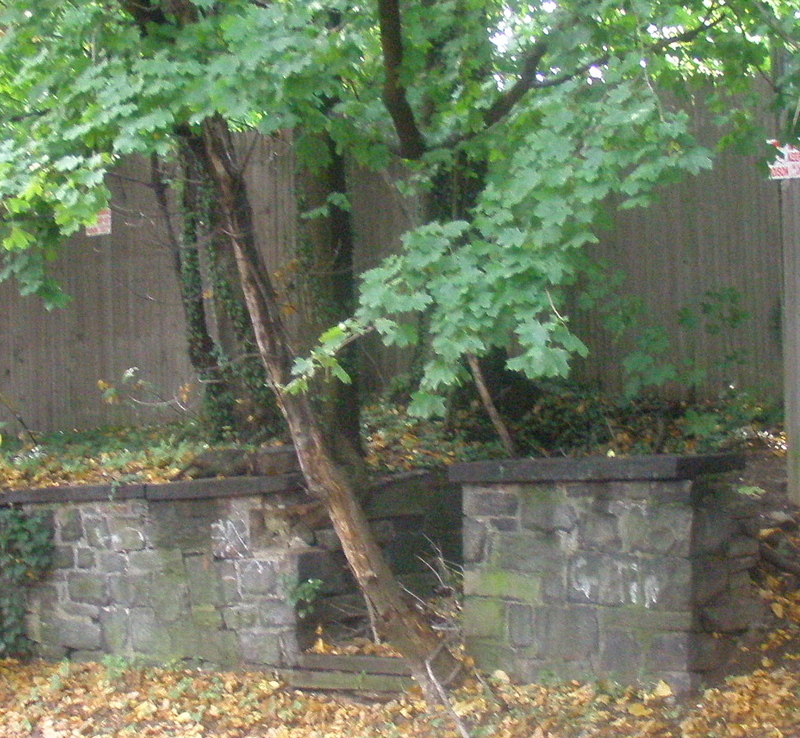 Close by on Victory, also on the north side, near Fiedler Avenue, are the remnants of two sets of stone retaining walls and slate steps. One will soon disappear under leaf-cover, then earth. 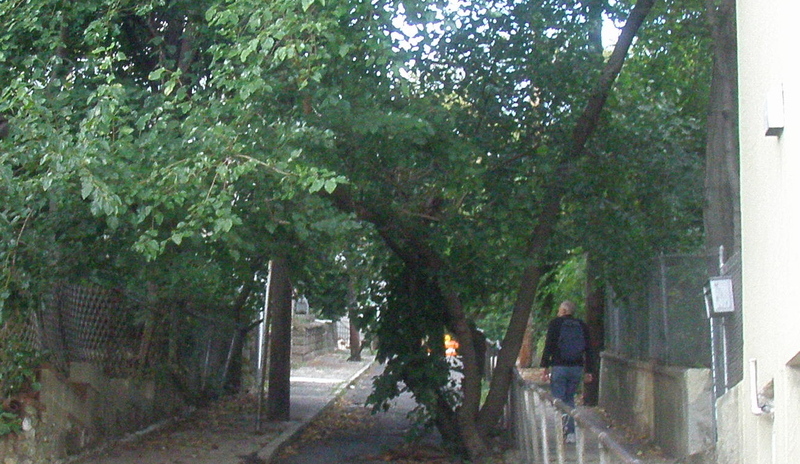 Both led to what probably were residences. Today they lead to lot-size forests of maple, ailanthus. 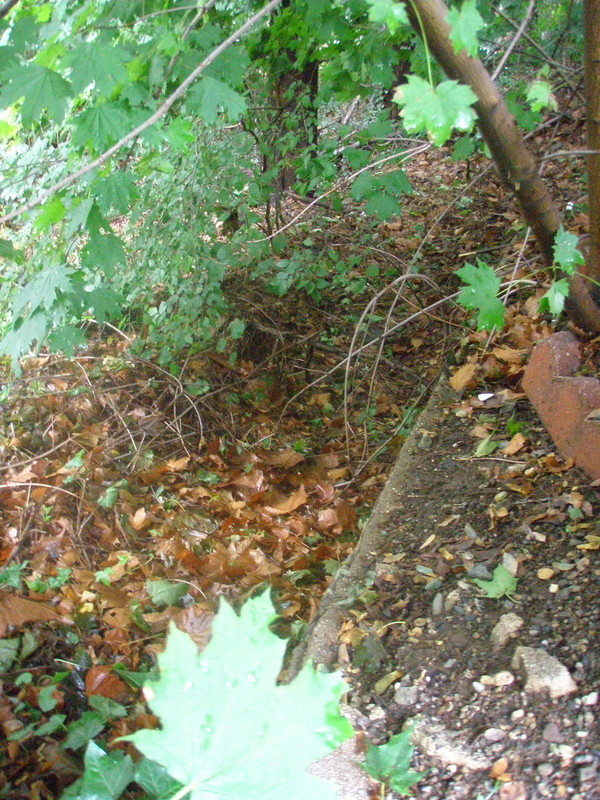 Maples are growing undisturbed in and around another stone-wall-with-steps remnant, this one leading directly into a stockade fence. 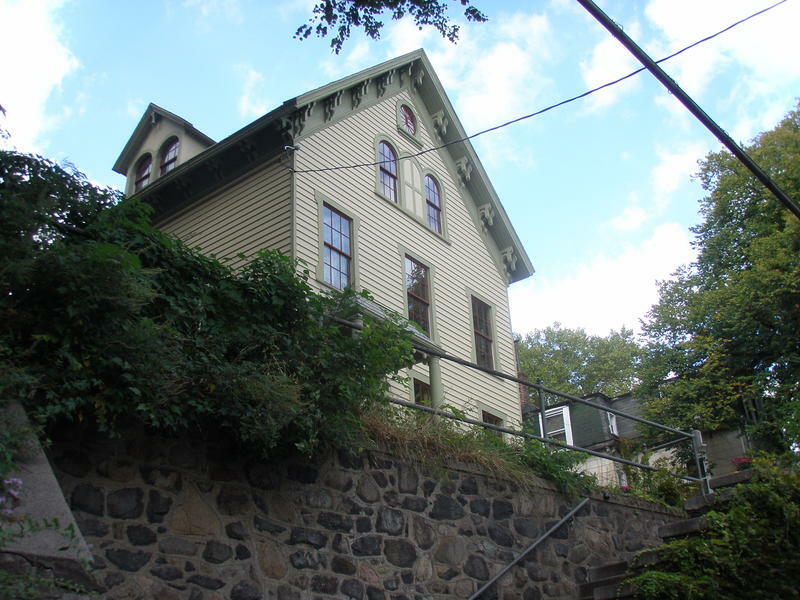 You'll find it south of Victory Boulevard, on the west side of Westervelt Avenue between Hendricks and Benziger avenues in Tompkinsville. 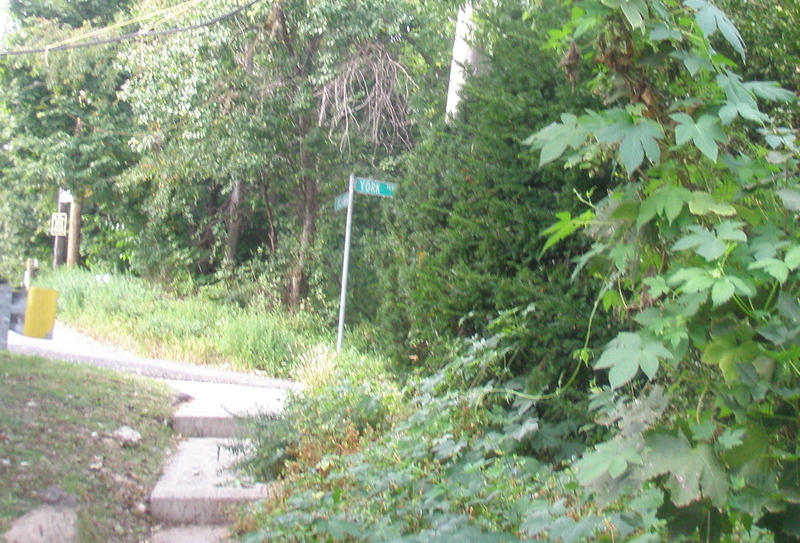 UP NEXT: The third part of this entry, covering small sectors of Ward Hill and Stapleton. Fiedler Avenue, Ward Hill, Staten Island, looking down at Victory Boulevard at the bottom of the street and across at Tompkinsville and the New Brighton hills. The ferry is a 15-minute walk away. We'd both grown up in Manhattan. 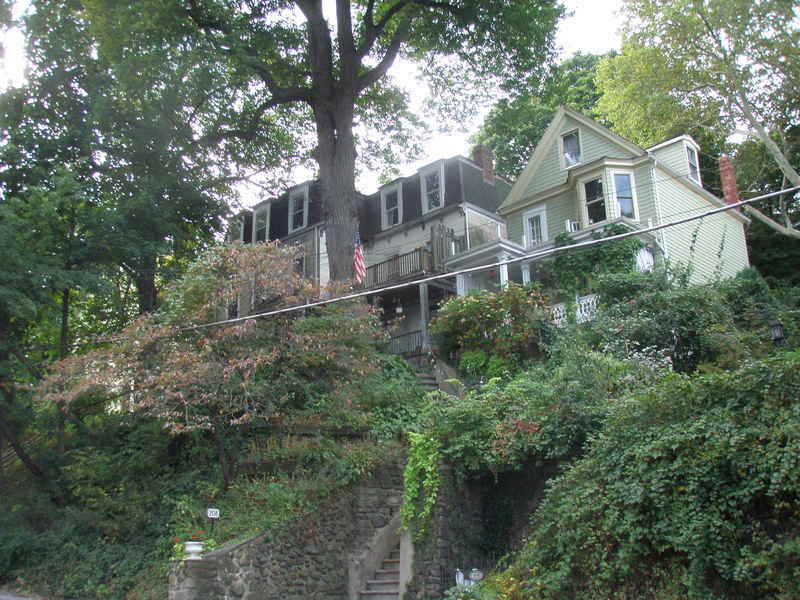 She in a spacious, old-fashioned walk-up flat facing Morningside Park, near Columbia. I in a cramped two-room apartment in Chelsea before it became a gay mecca. These experiences hadn't prepared us for a move to a place where the ferry is the boat, where Manhattan is the city, and where PTAs hold Chinese Auctions, which after 30 years of living here are still a total mystery. I'm talking about Staten Island. Specifically, the north shore of that island, and more specifically the neighborhoods of St. George, New Brighton, Tompkinsville/Ward Hill, and Stapleton. 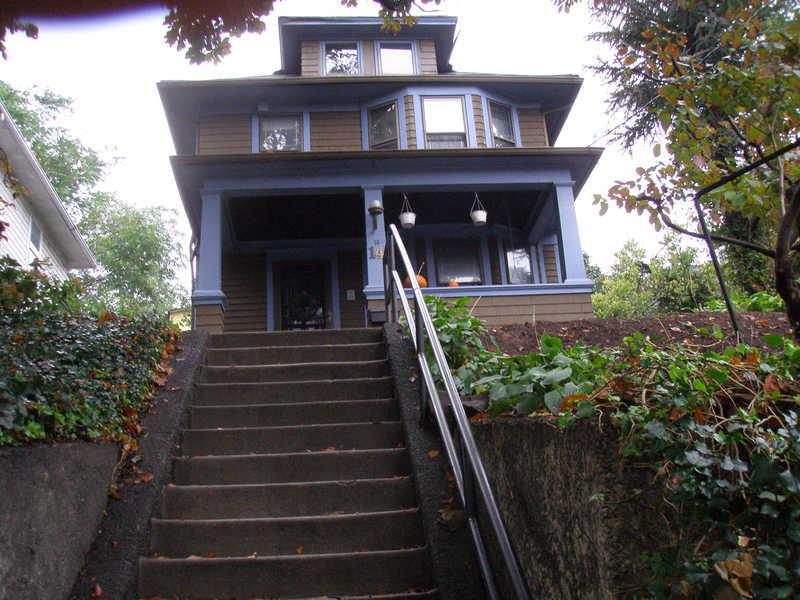 All within walking distance of the ferry and the island's bus and rail lines, and all hilly. Sometimes very hilly. What I've come to appreciate are the ways in which people have adapted to living on hills, the same way they've adapted to the ferry schedule. 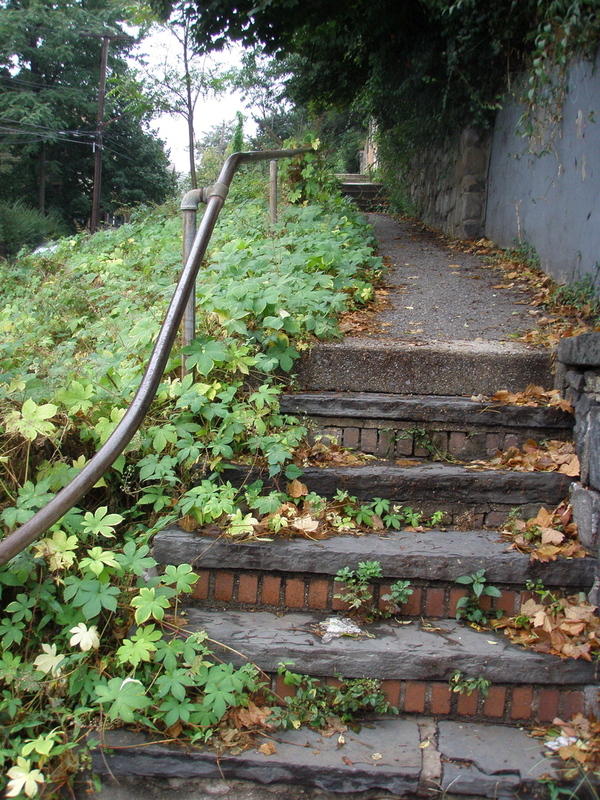 One of the most interesting of these adaptations are a collection of still-functioning stairways, walkways and paths up and down the hills in the older close-to-the ferry neighborhoods. 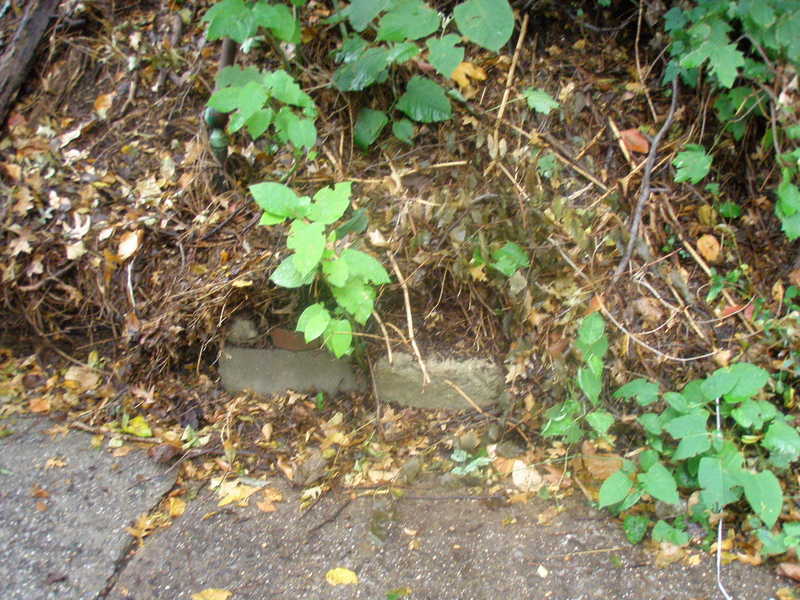 As well as the bizarre arrangement of retaining walls and stairways some residents have to negotiate, just to reach their front doors. 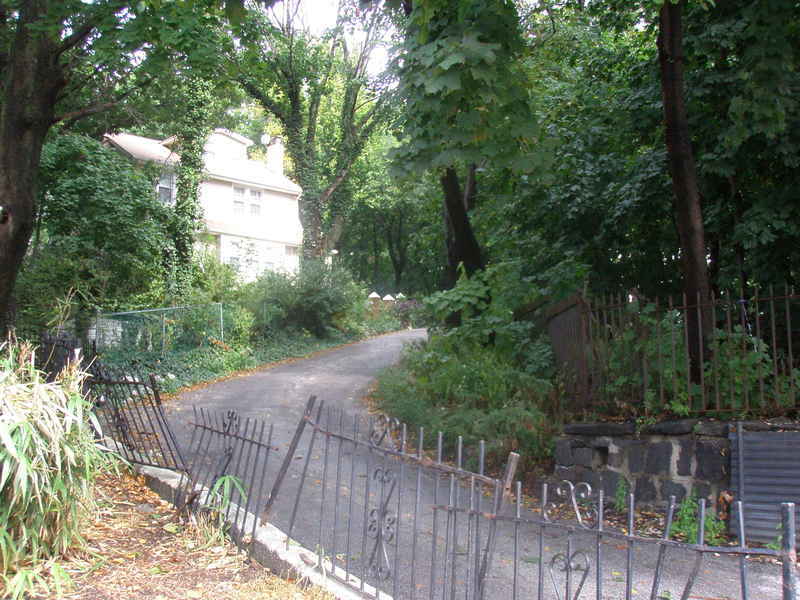 What follows is the first of a two-part entry about these adaptations in the neighborhoods of St. George and Tompkinsville, many still in active use, others well along in the process of reverting to nature. 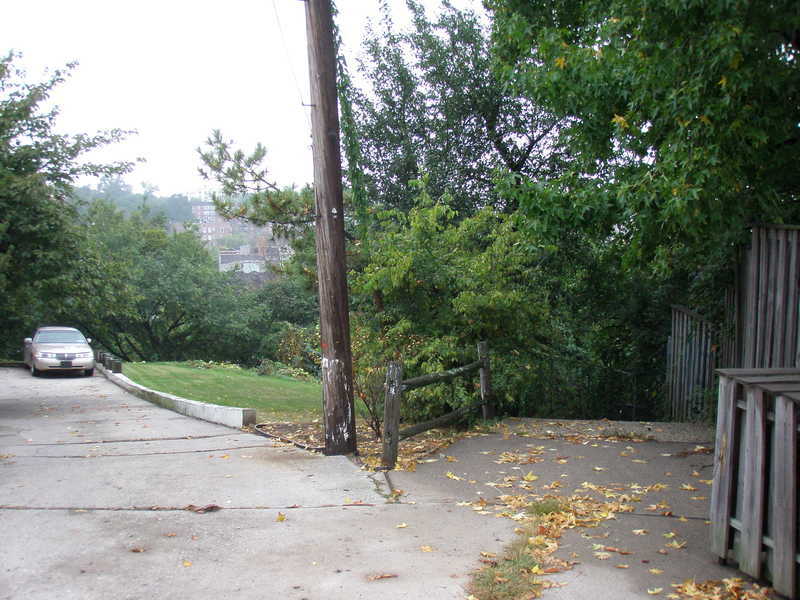 The second part of this entry will cover Tompkinsville/Ward Hill, New Brighton and Stapleton. 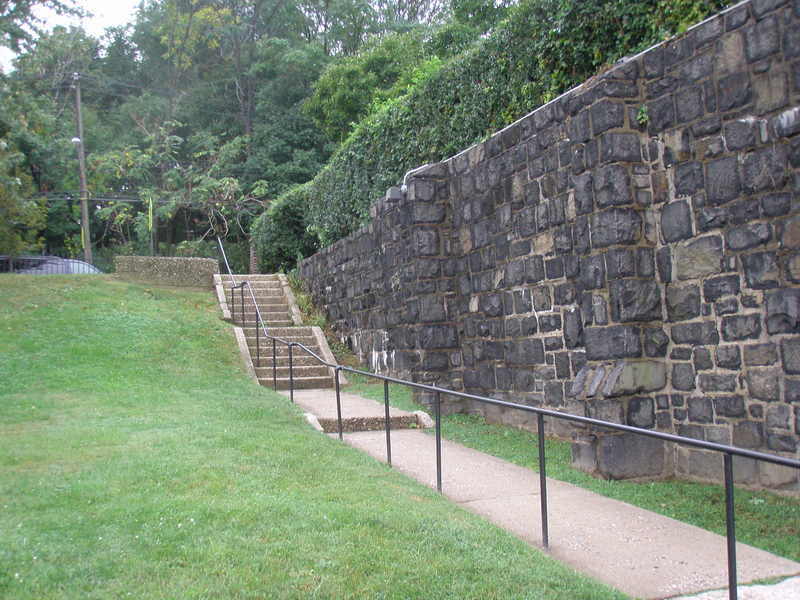 Stone retaining wall and public stairway, St. Peter's R.C. Church, St. Marks Place, St. George, connecting St. Marks and Carroll places. 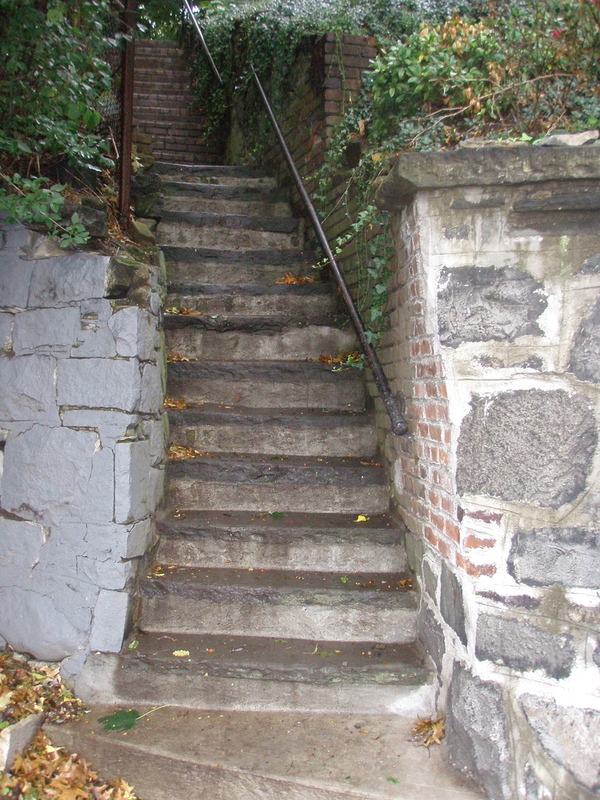 Stairway from Carroll Place to St. Marks Place. 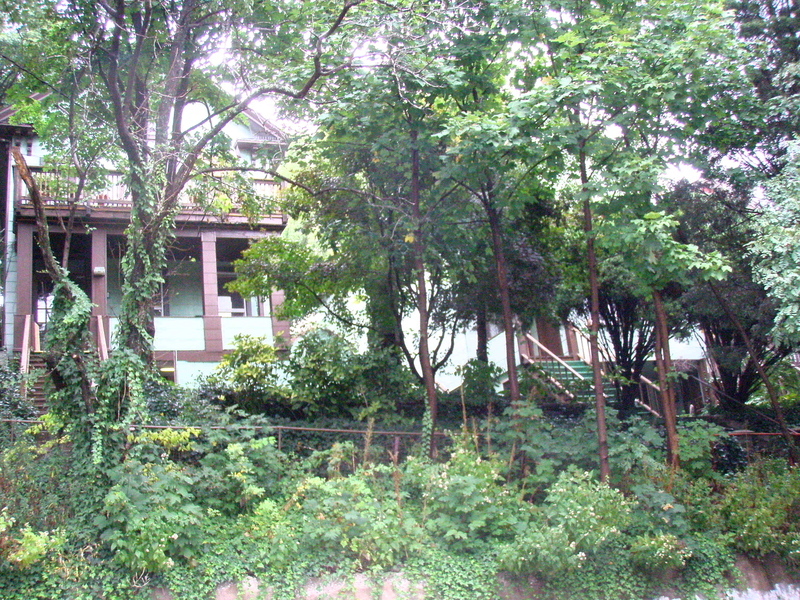 St. Peter's R.C. 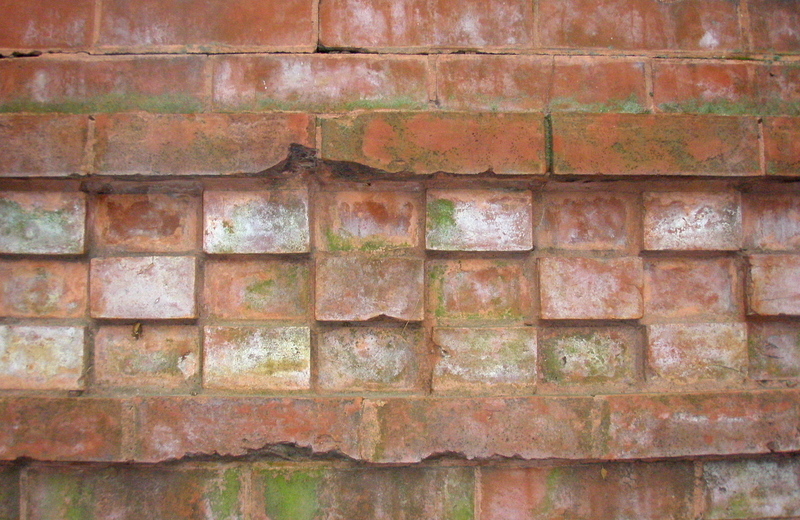 Church, left. 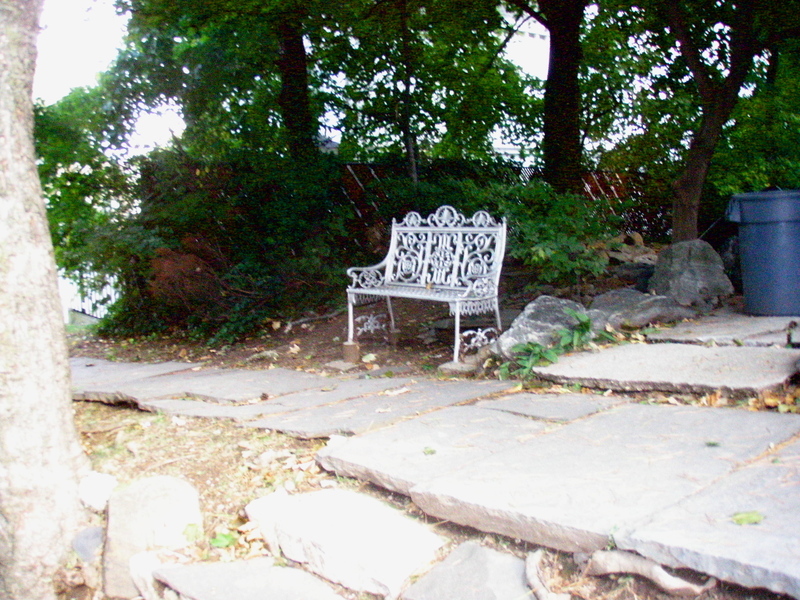 Stone wall and steps leading from Sherman Avenue, Tompkinsville, to Fort Hill Park, which is both the name of a street and a recently dedicated 'Forever Wild' park on the adjacent property. 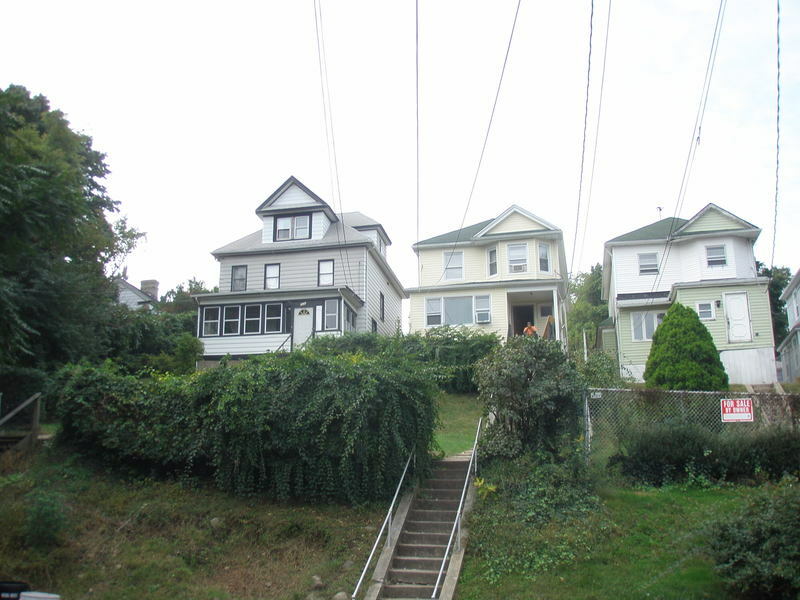 The three photos directly above show (1, 2) the steps leading down from Fort Hill Park to Sherman Avenue; and (3) the road up Fort Hill Park to the top, from the corner of Hendricks and Westervelt avenues. 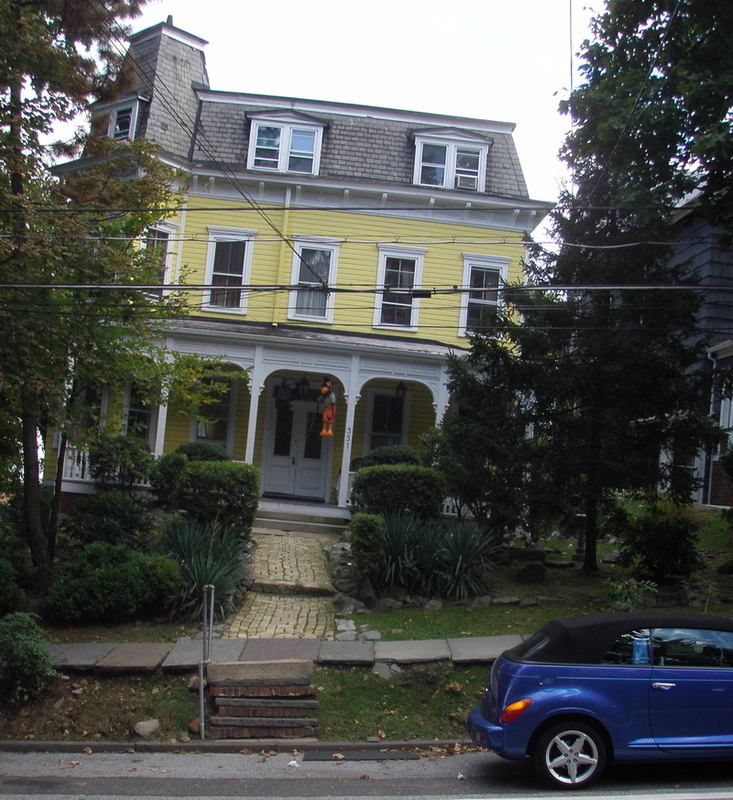 Our first house on St. Marks Place near Westervelt Avenue, St. George. 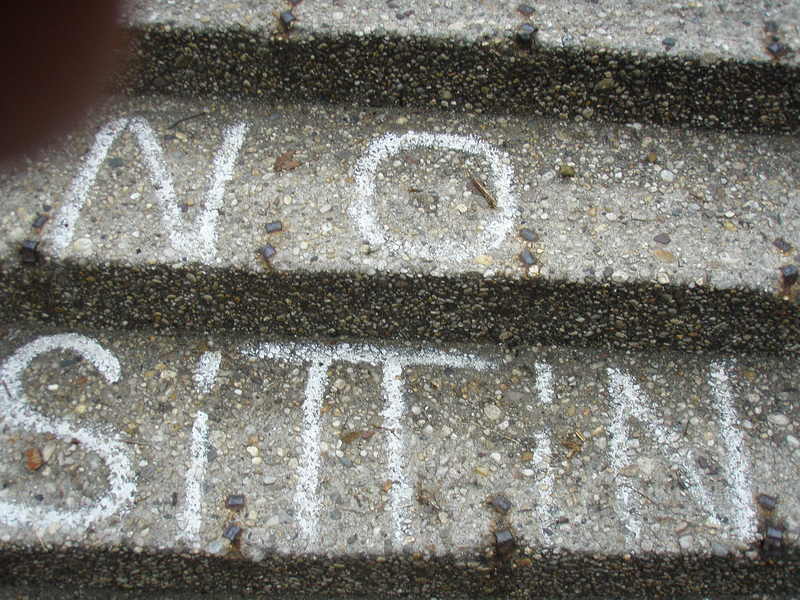 The negatives of living 18 steps above the street are obvious. Less obvious are the sense of privacy and relative solitude that, most of the time, were adequate compensation. 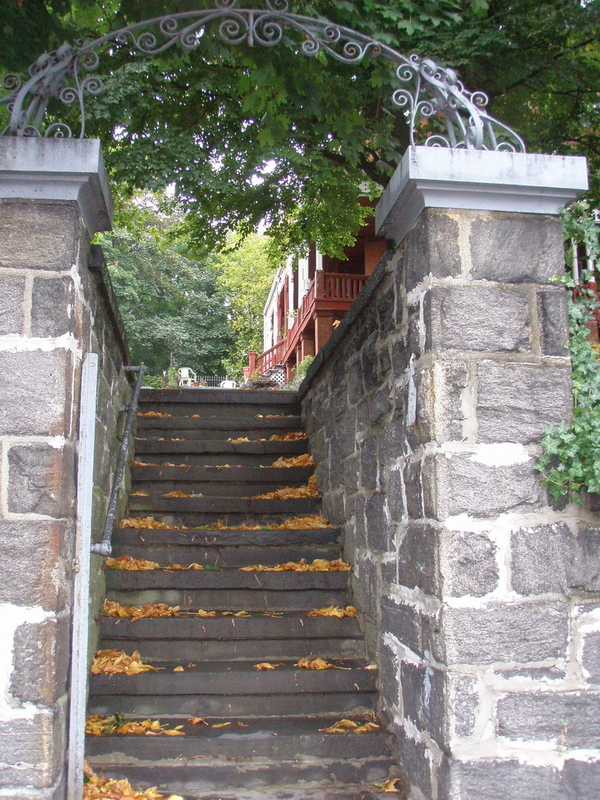 Stone wall and slate step entry to the Schoverling mansion, a New York City landmark, Westervelt Avenue at Benziger Avenue, Tompkinsville. 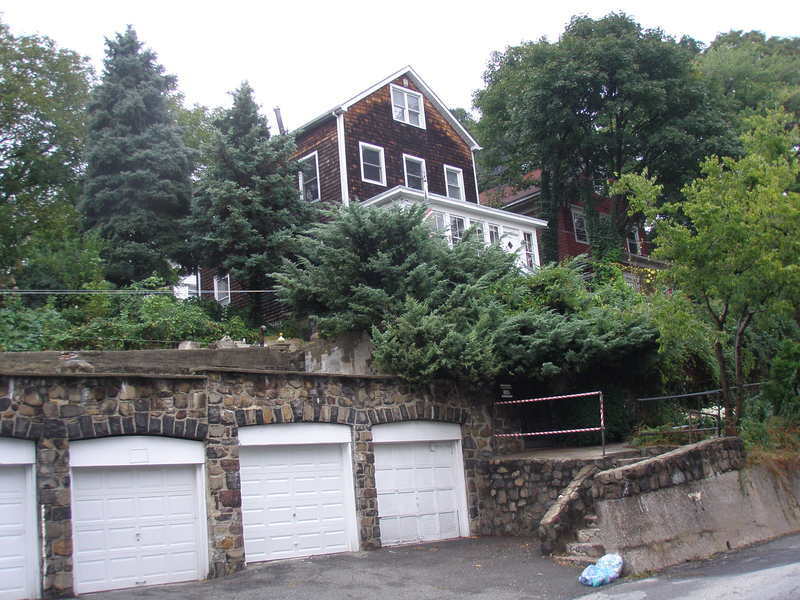 This amazing group of cliff dwellings is on the north side of Corson Avenue between Jersey Street and Westervelt Avenue, Tompkinsville. 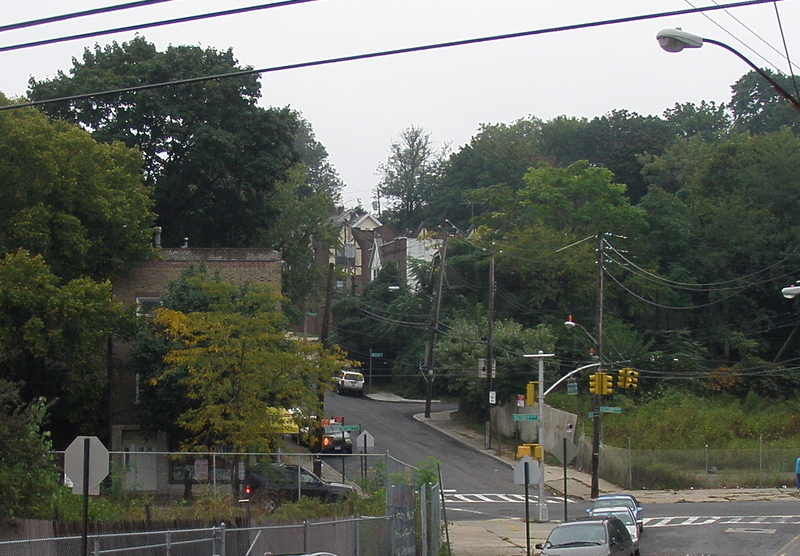 In this photo, walking west from Westervelt Avenue, the rise on the north side of Scribner Avenue, Tompkinsville, is gradual. 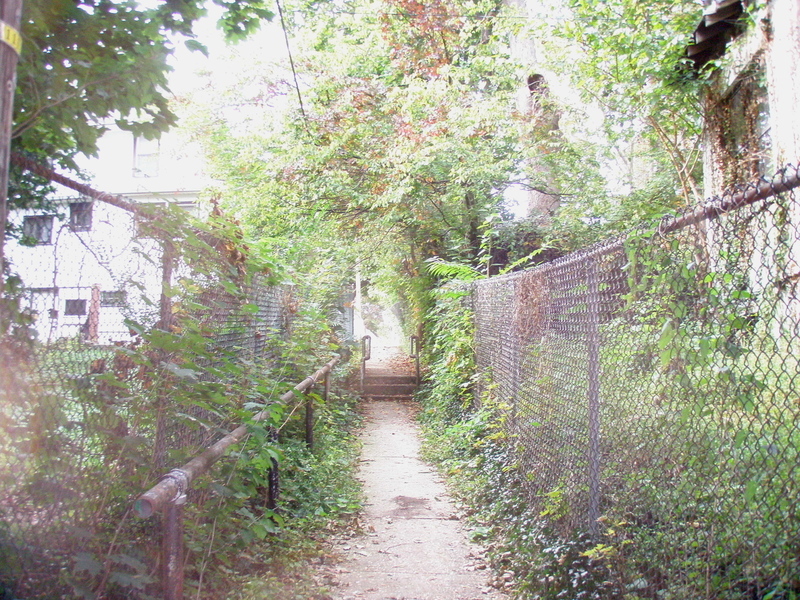 These photos show the stairways leading to the north and south sides of Corson Avenue, Tompkinsville, walking west from Westervelt Avenue. 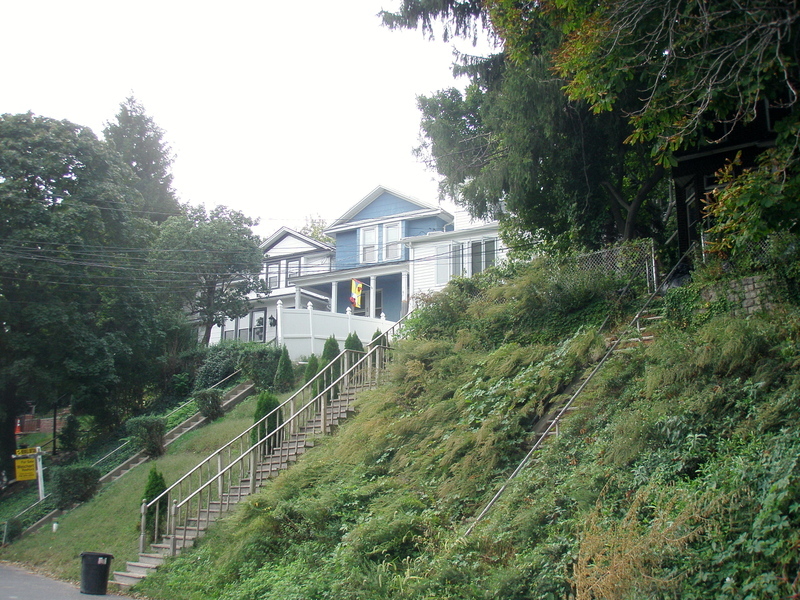 The north sidewalk also rises gradually as it continues west, becoming fully elevated, with entries and lower stairways leading to each house cut into the massive retaining wall that looms over the roadway. 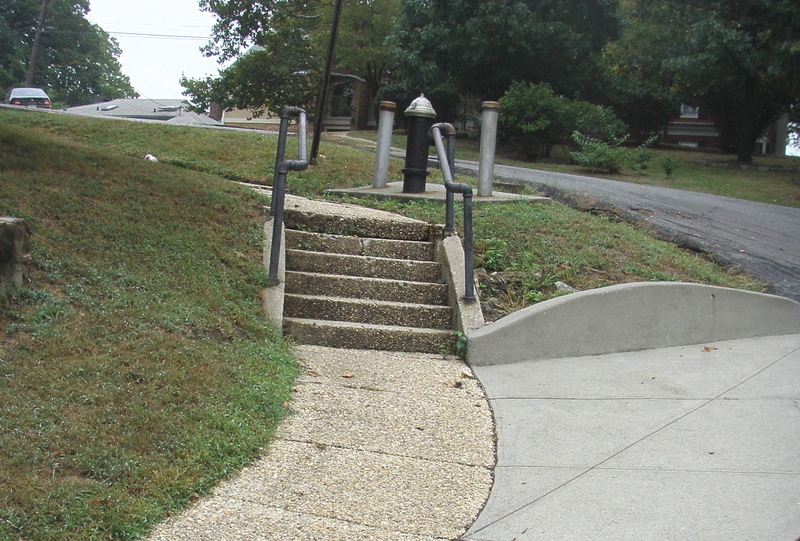 An approach to the elevated sidewalk on the north side of the street, looking east.